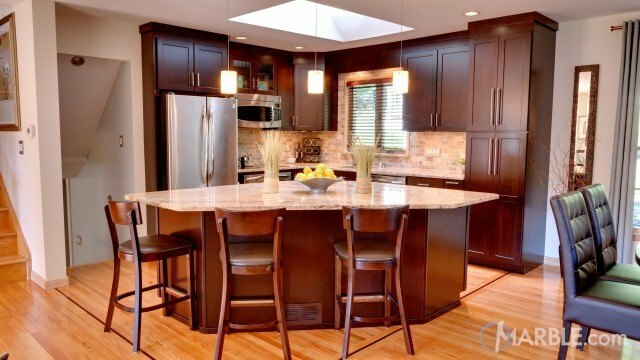 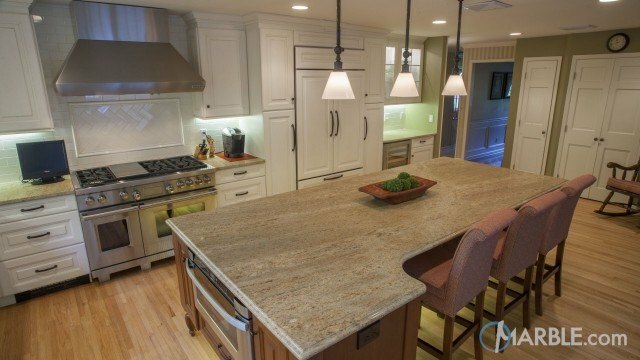 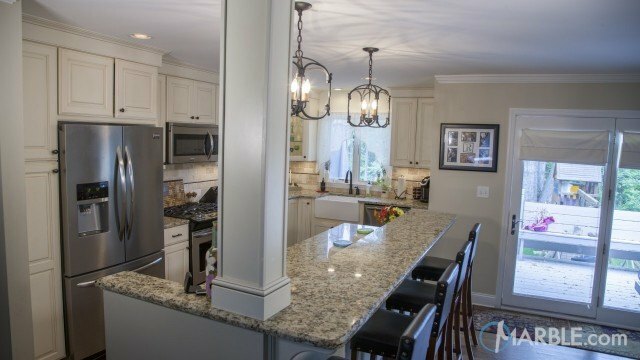 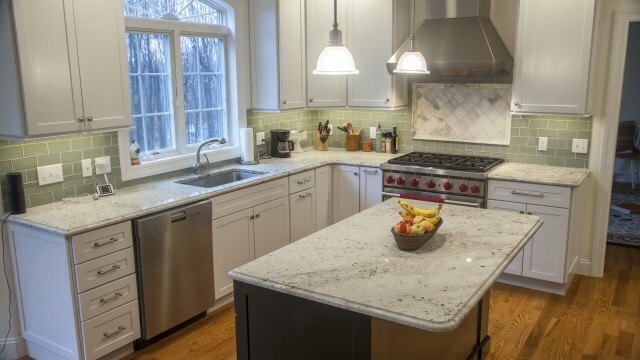 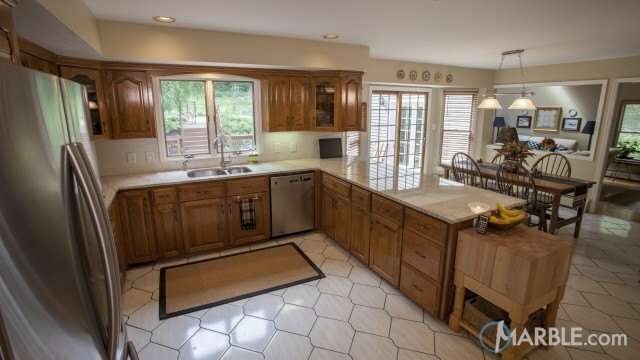 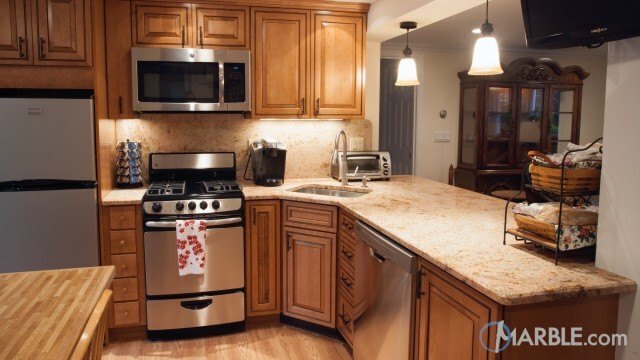 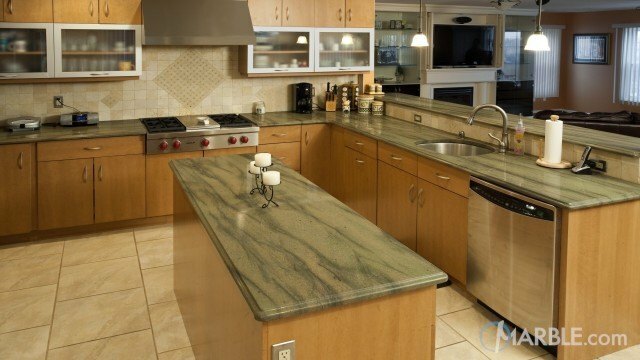 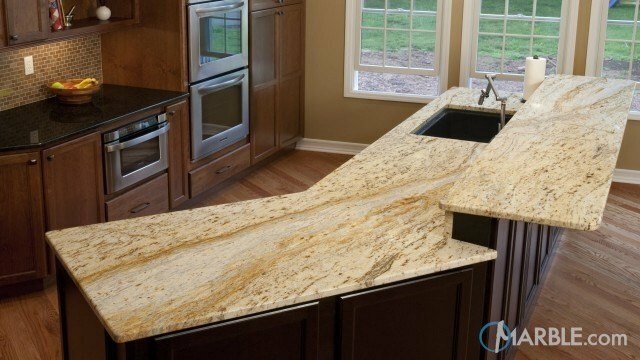 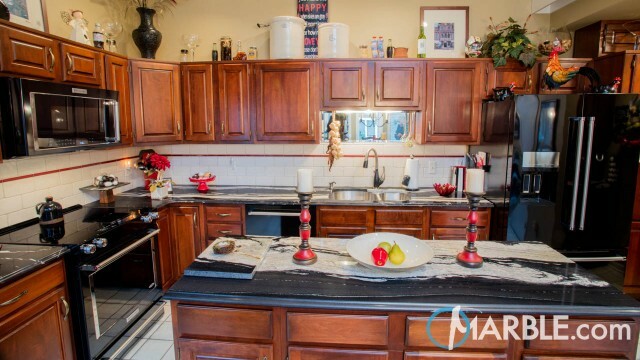 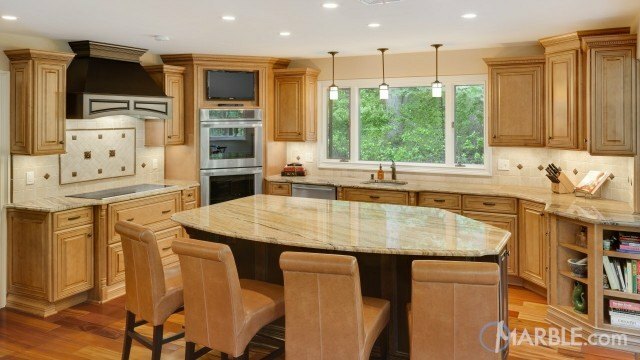 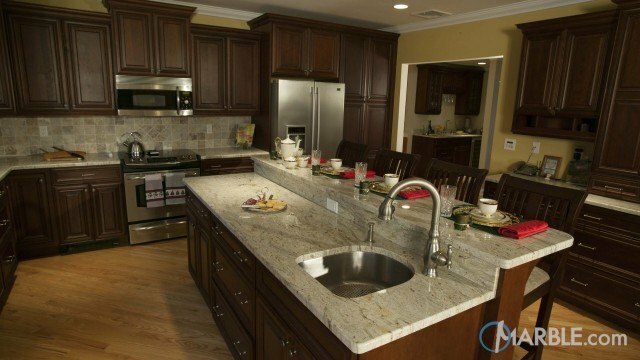 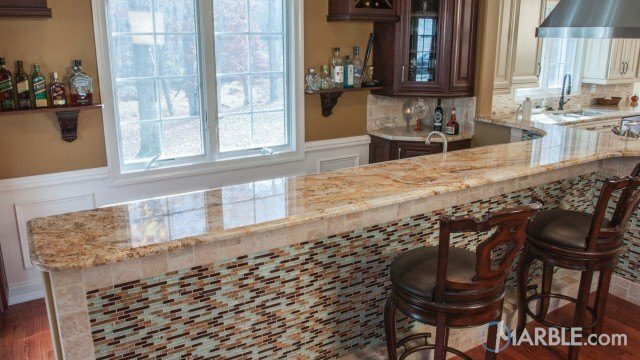 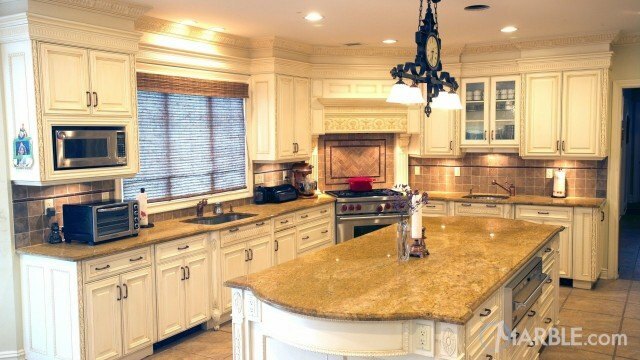 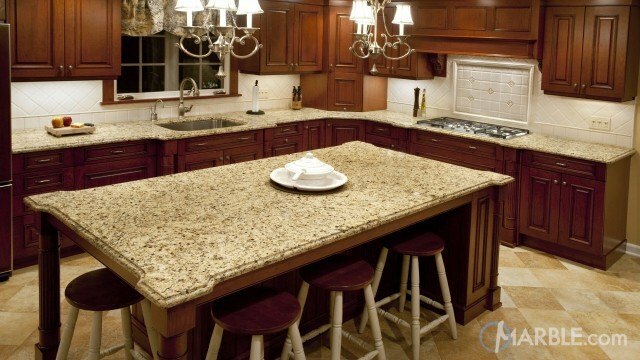 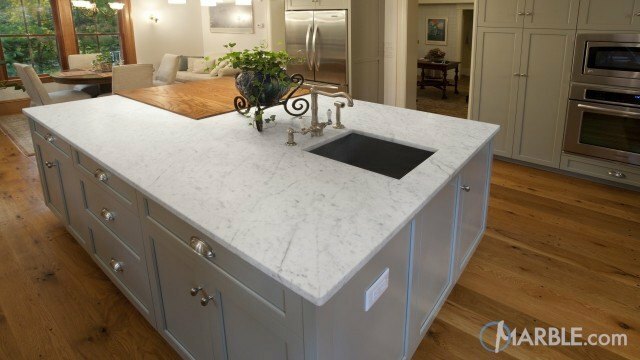 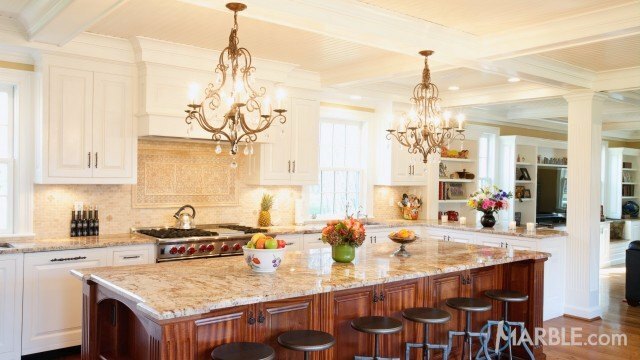 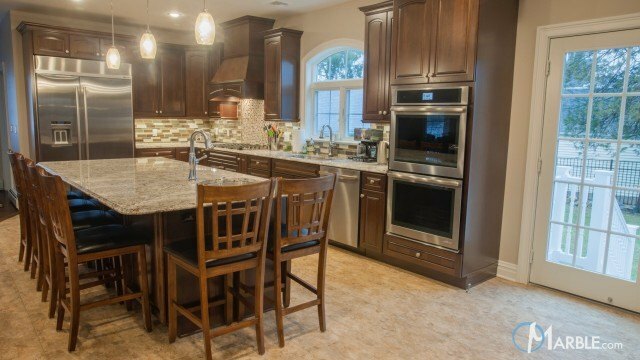 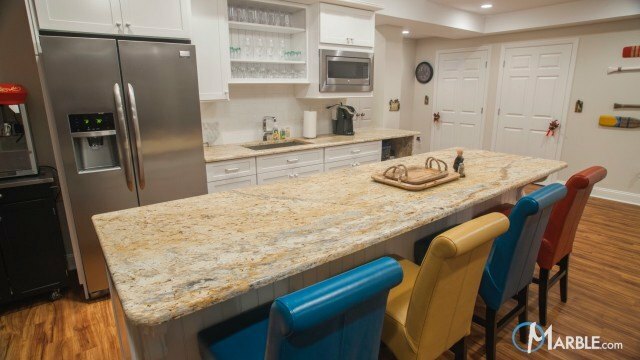 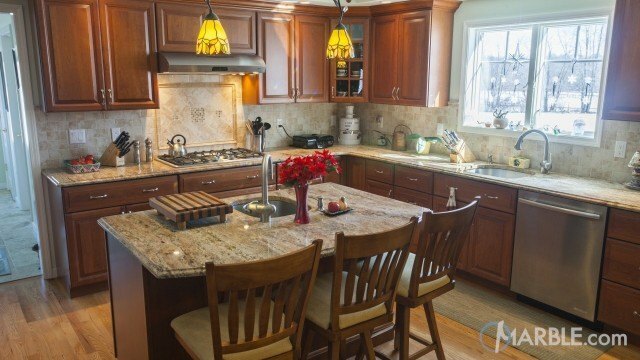 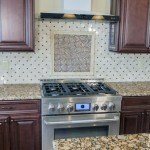 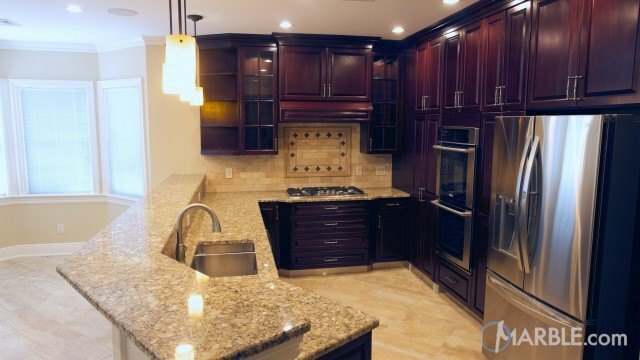 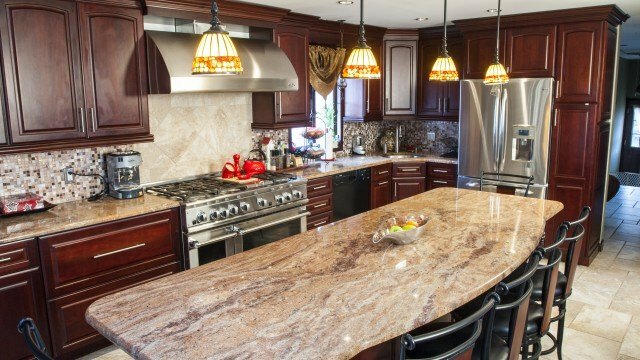 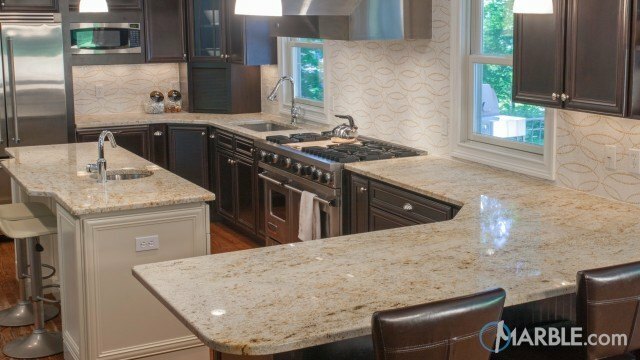 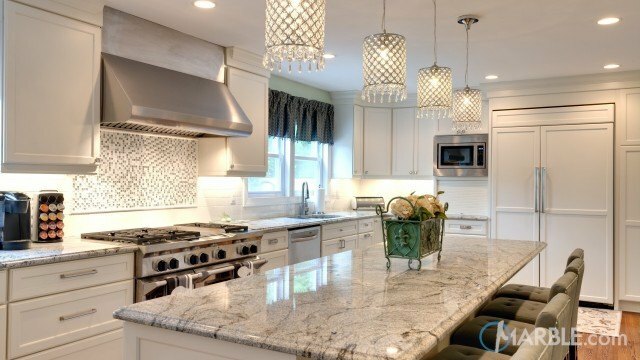 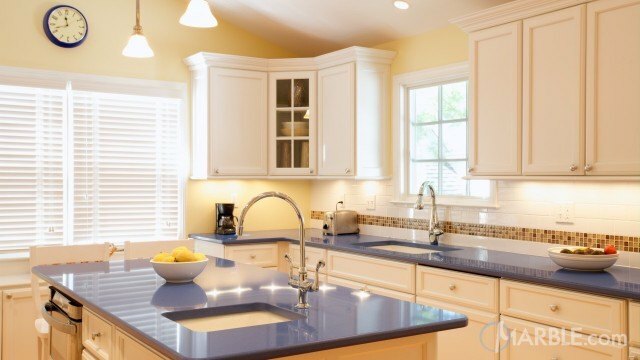 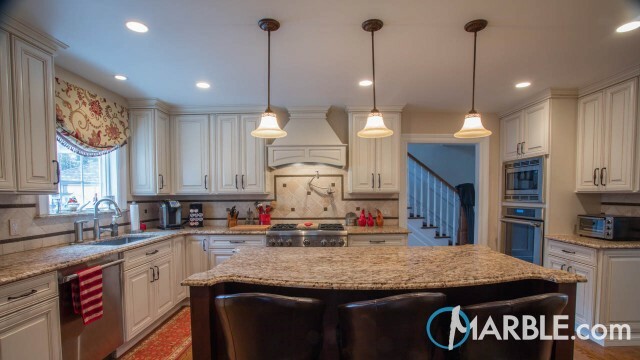 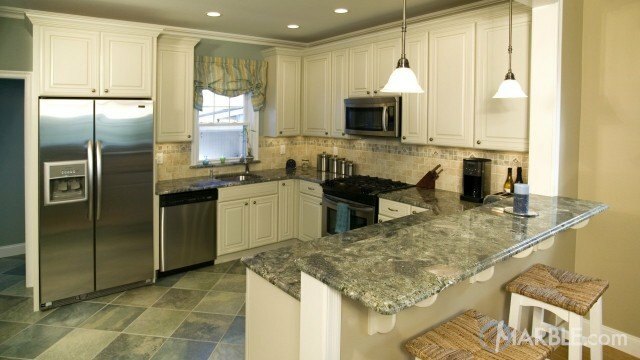 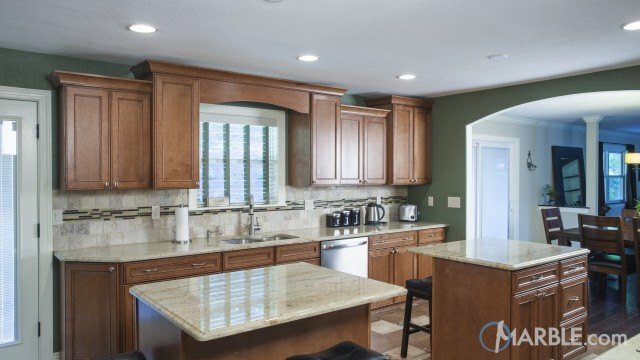 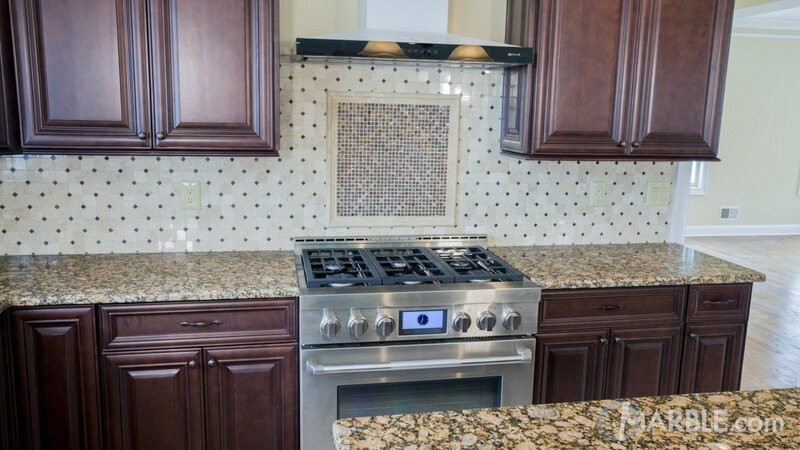 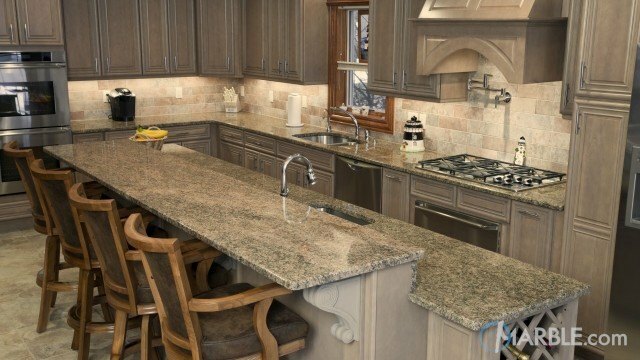 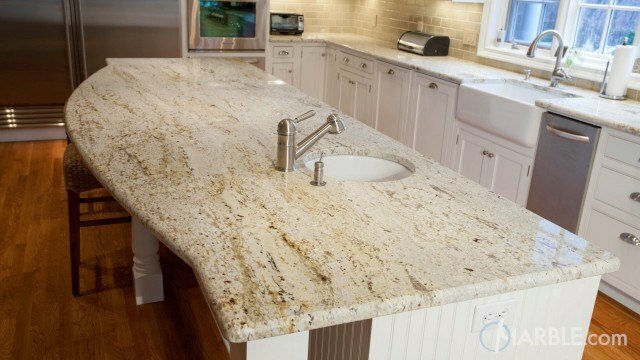 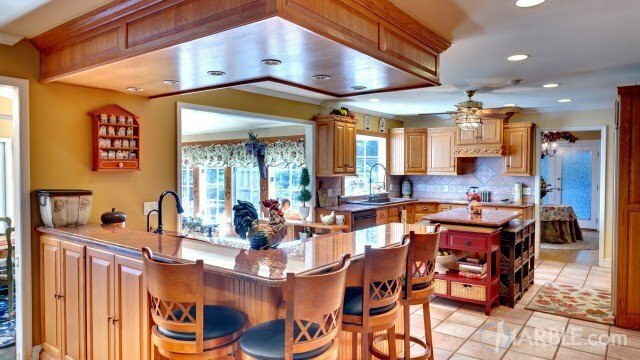 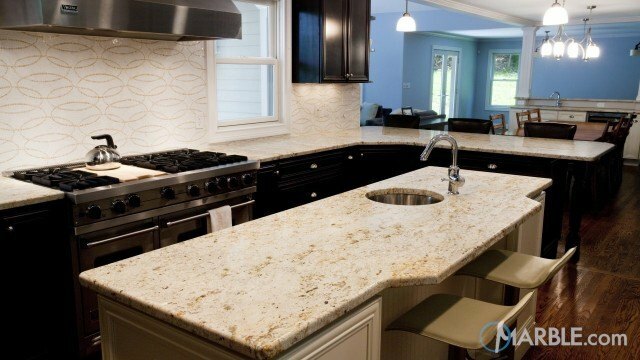 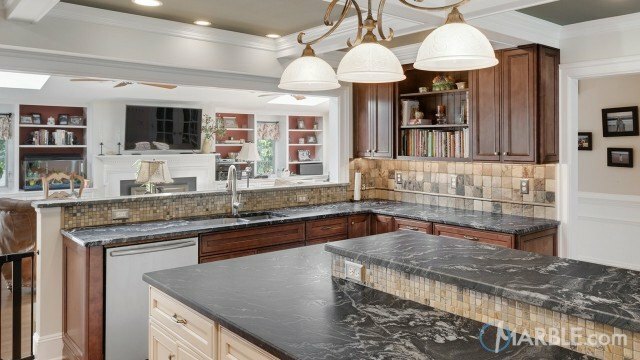 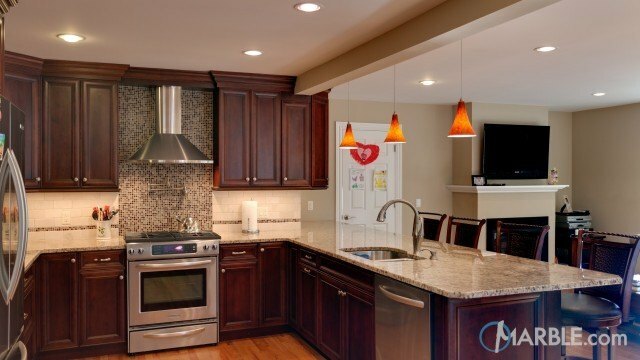 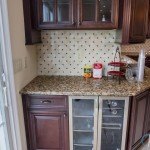 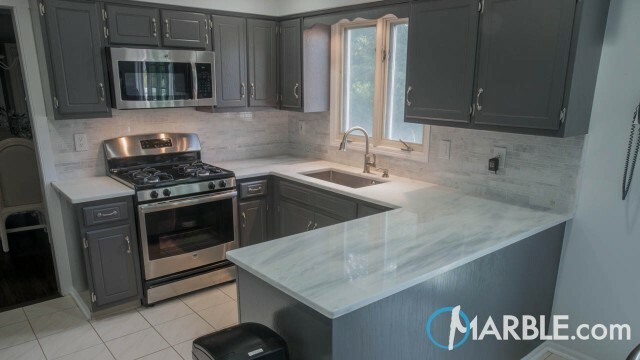 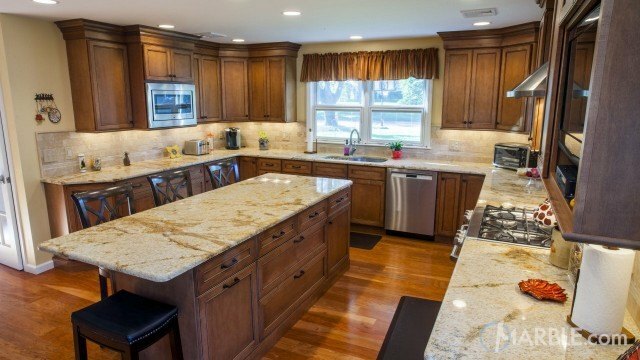 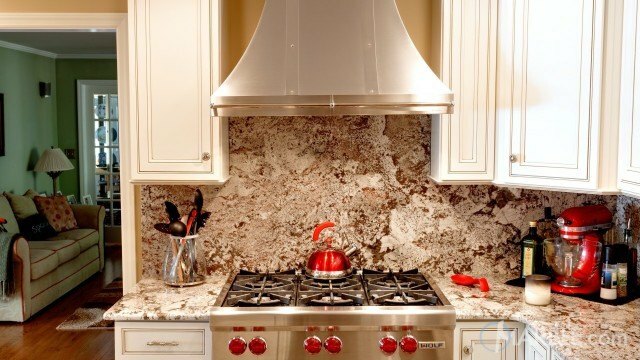 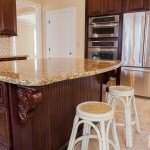 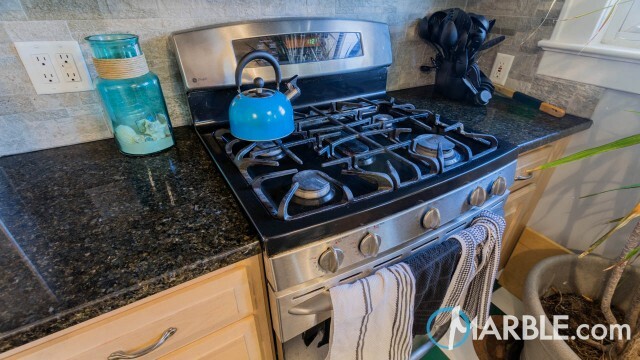 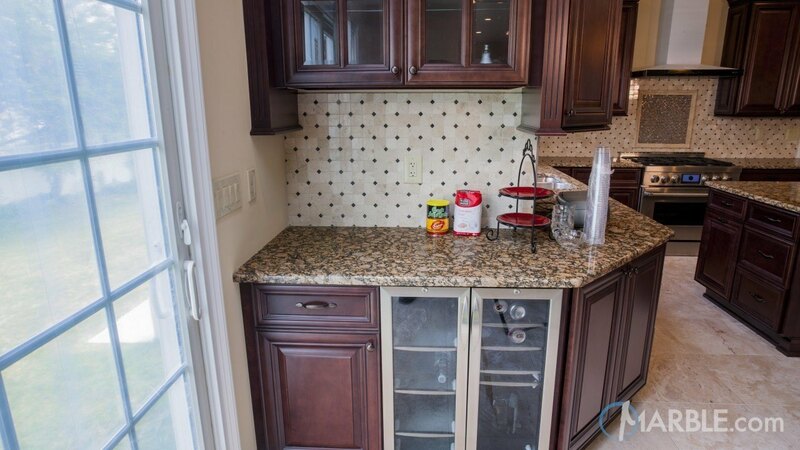 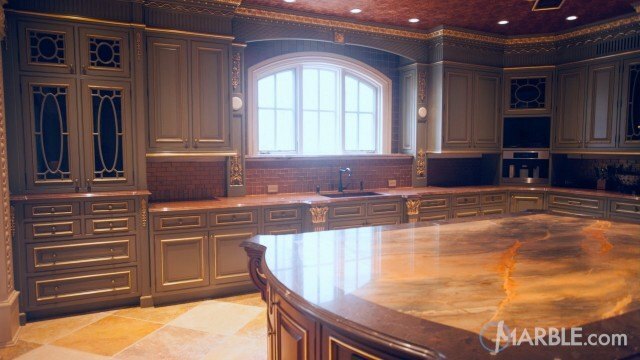 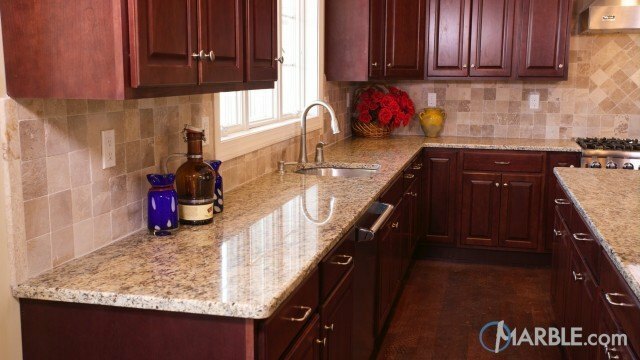 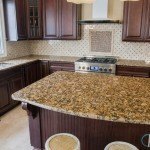 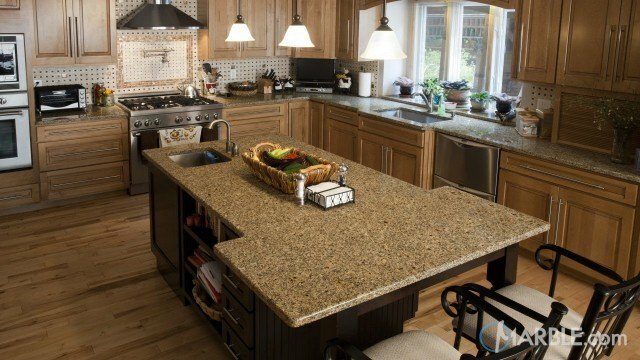 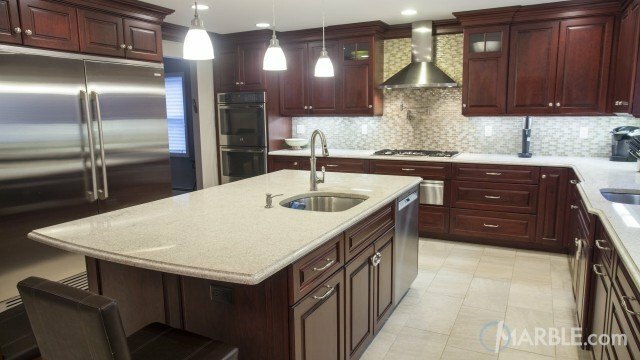 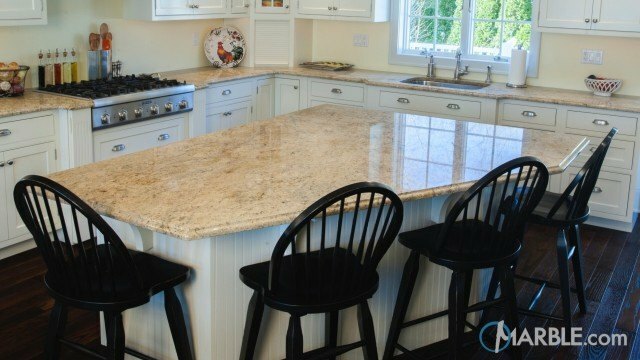 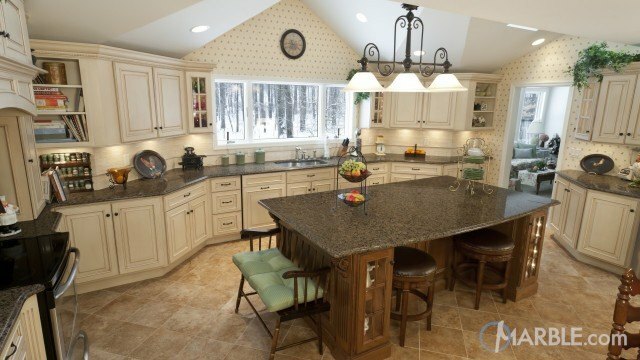 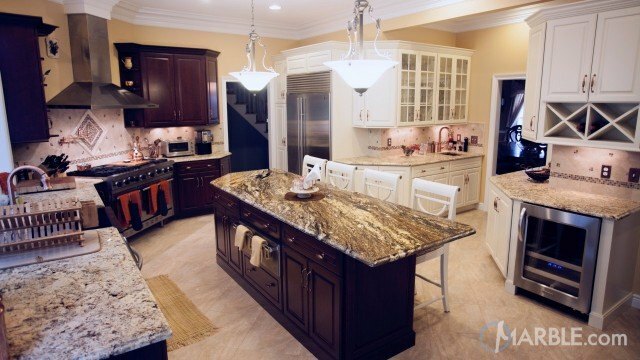 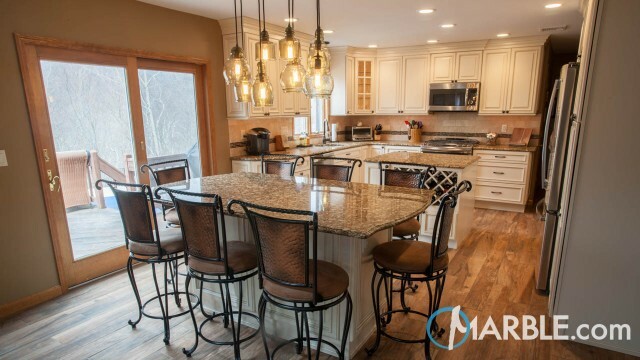 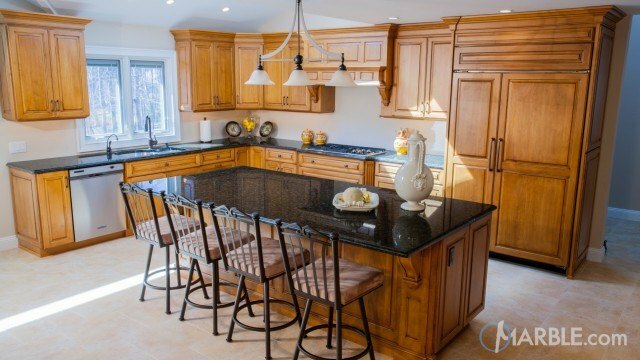 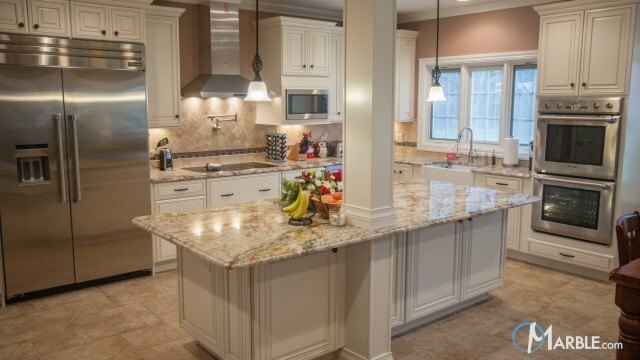 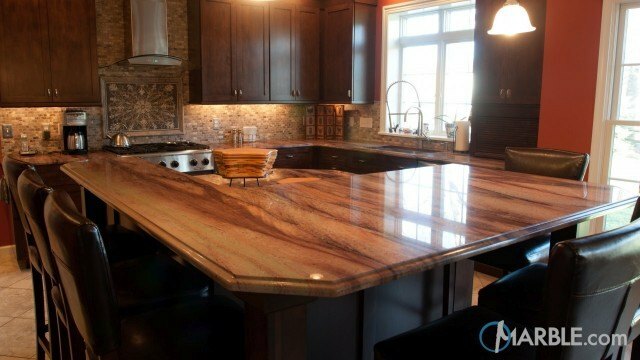 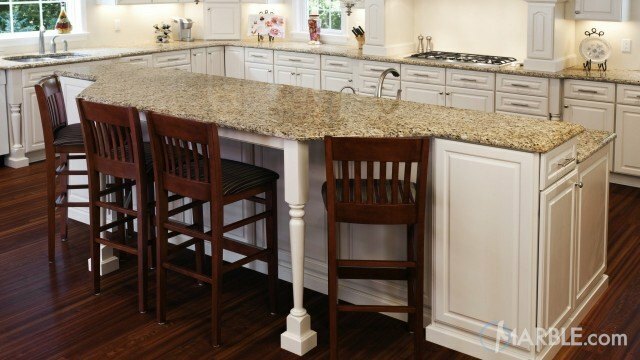 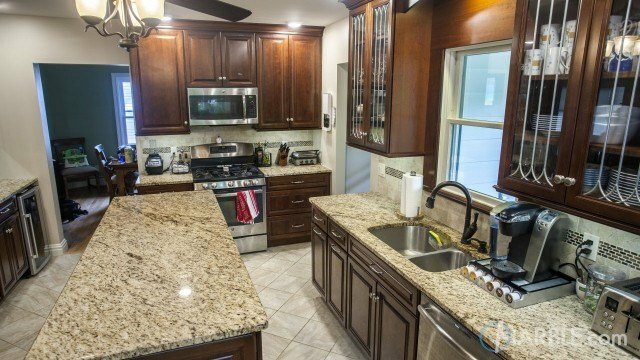 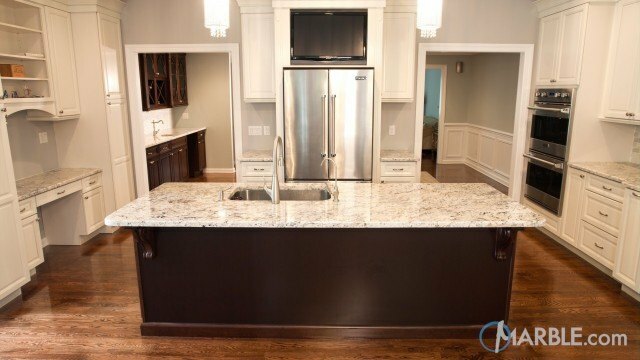 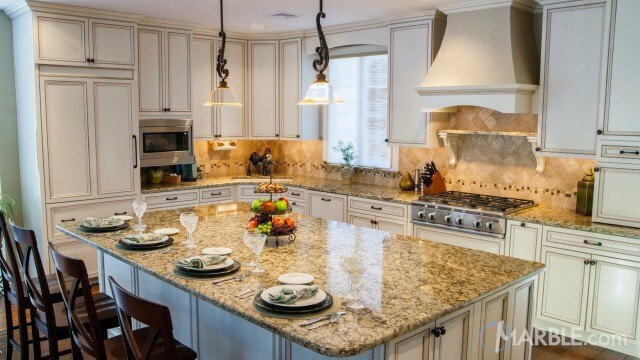 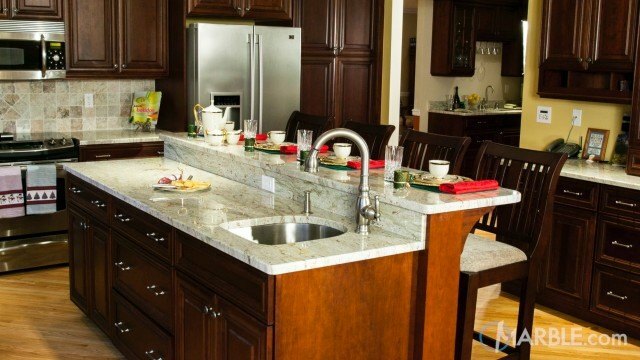 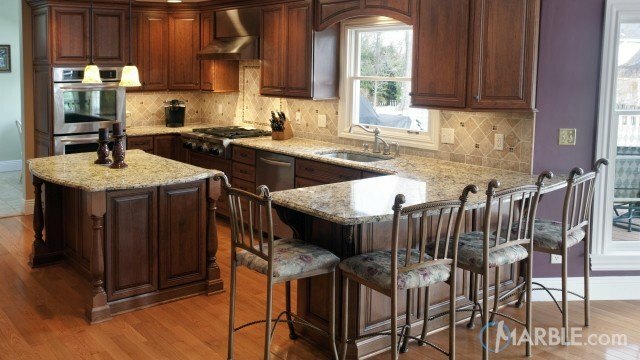 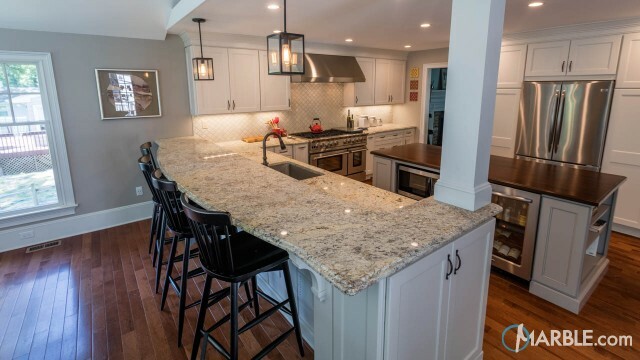 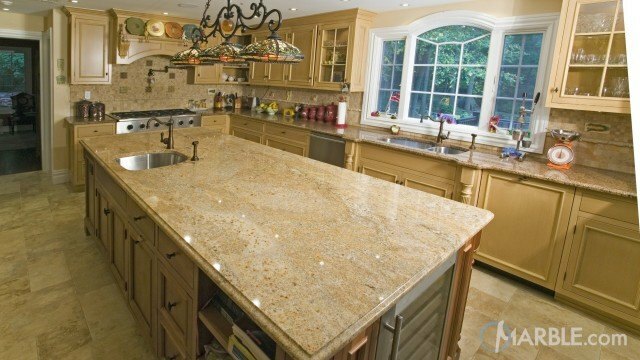 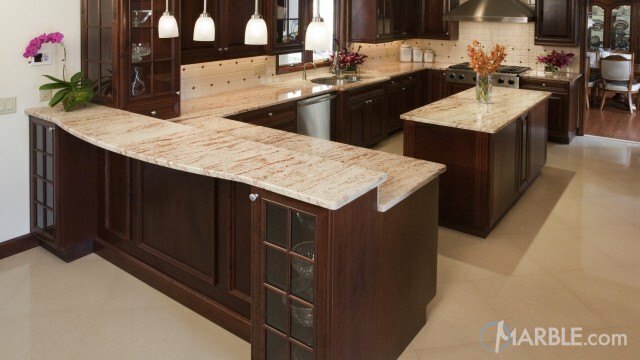 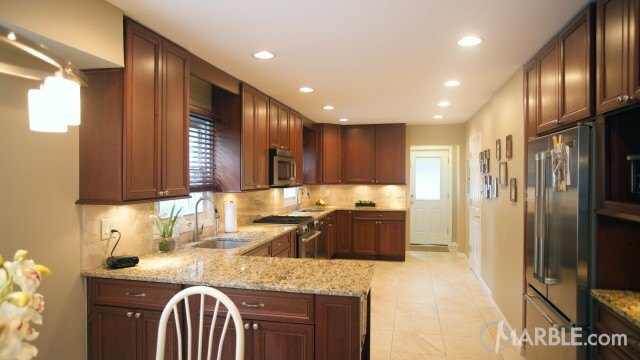 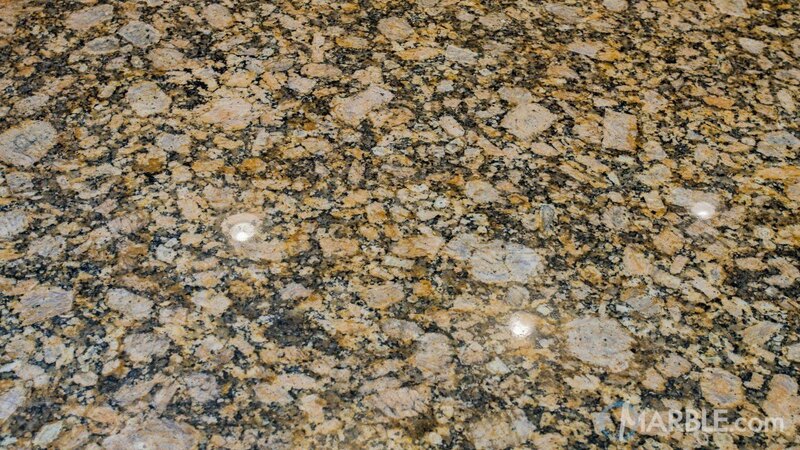 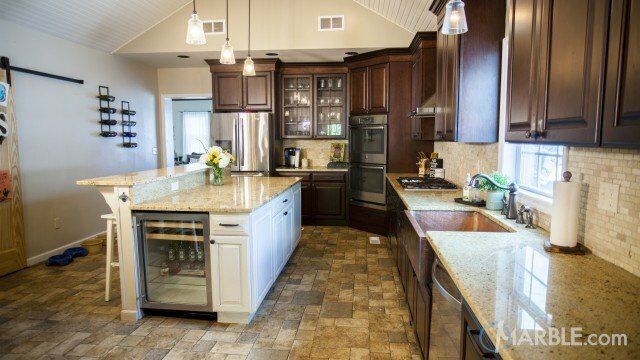 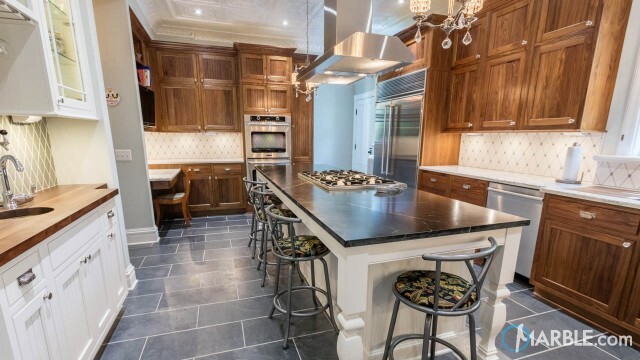 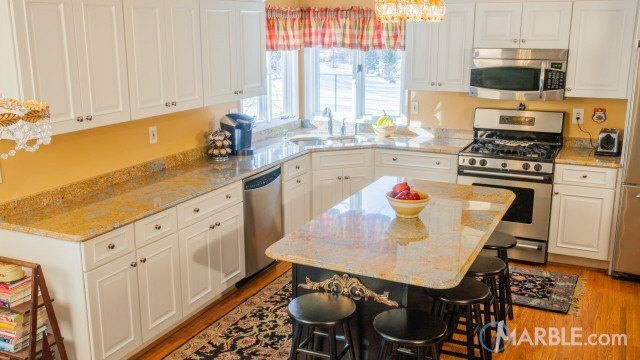 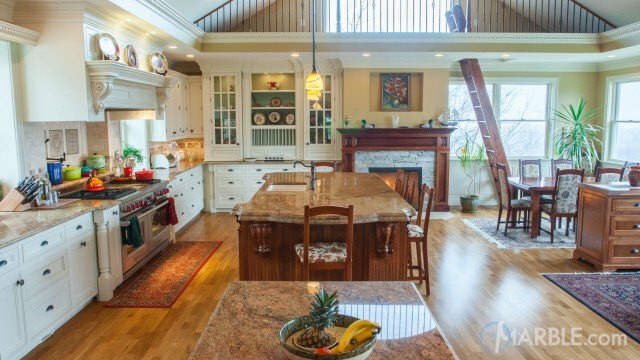 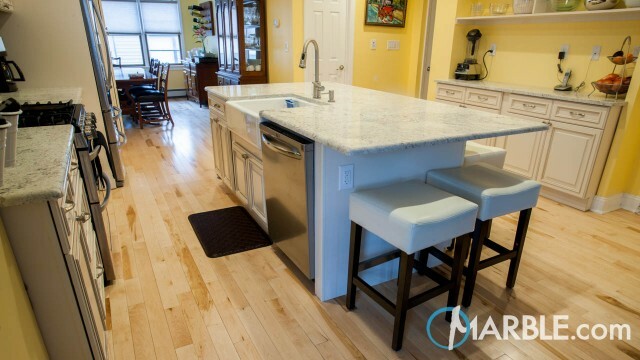 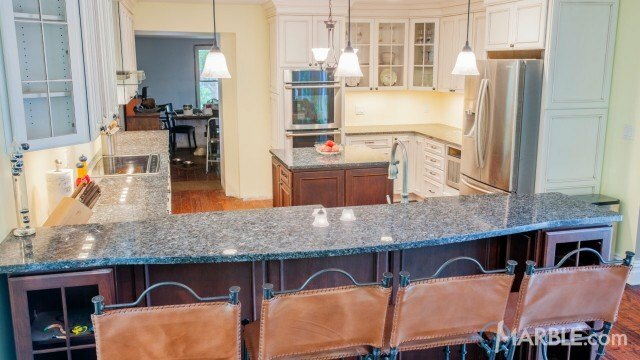 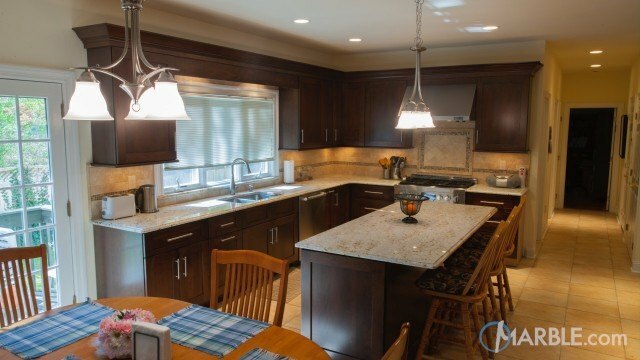 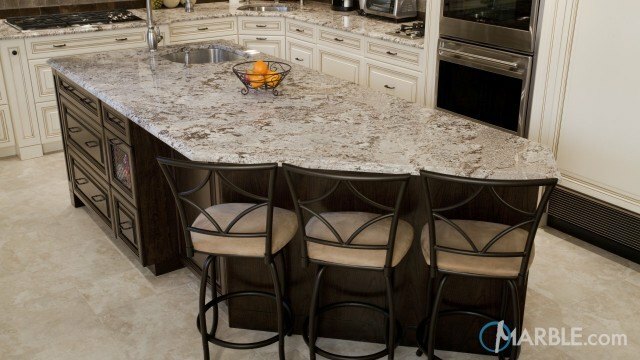 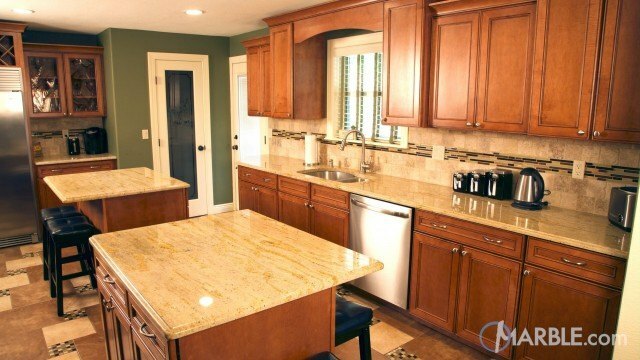 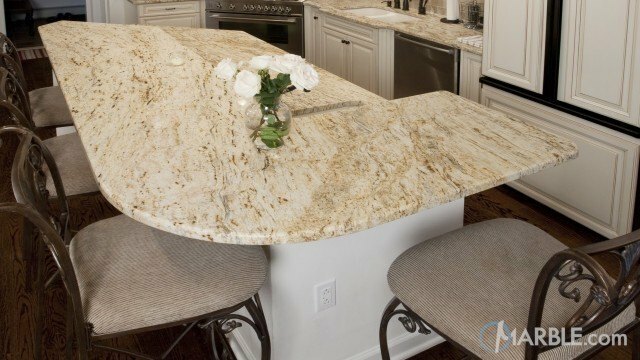 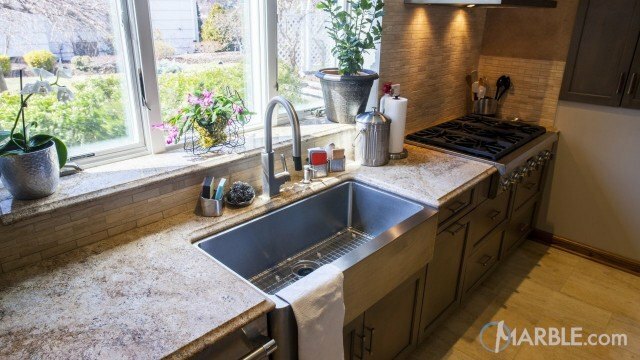 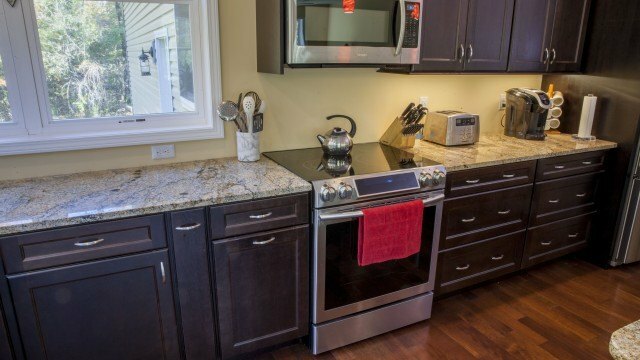 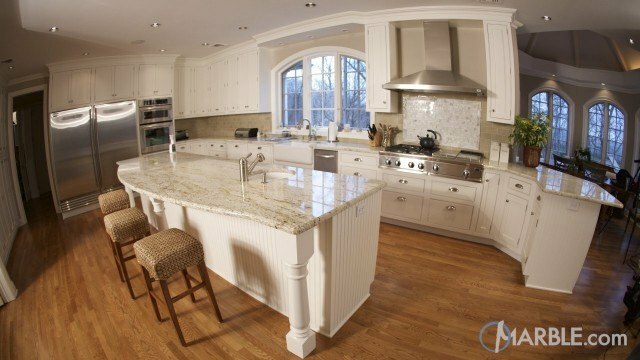 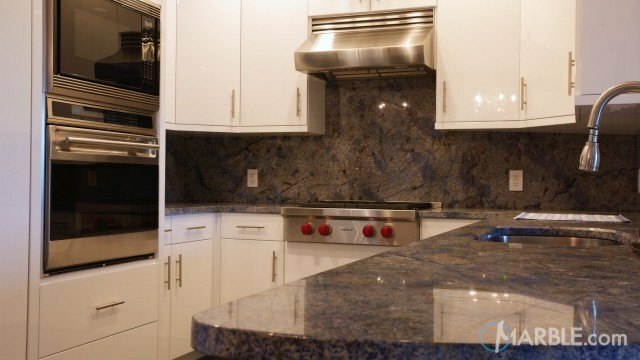 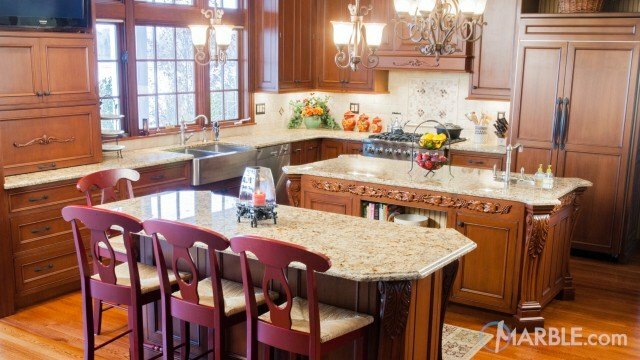 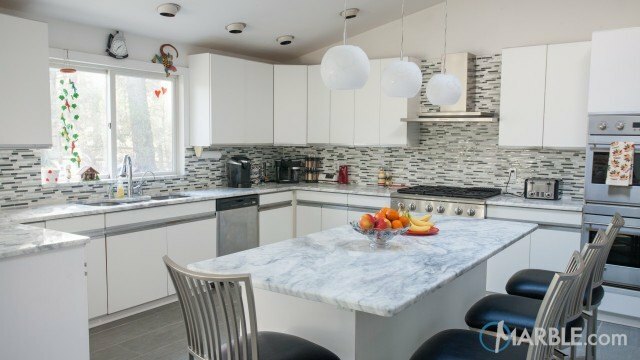 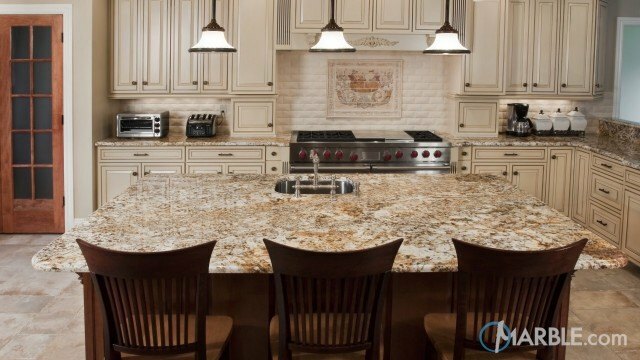 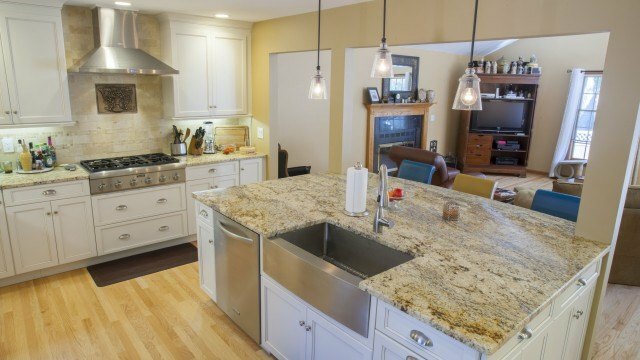 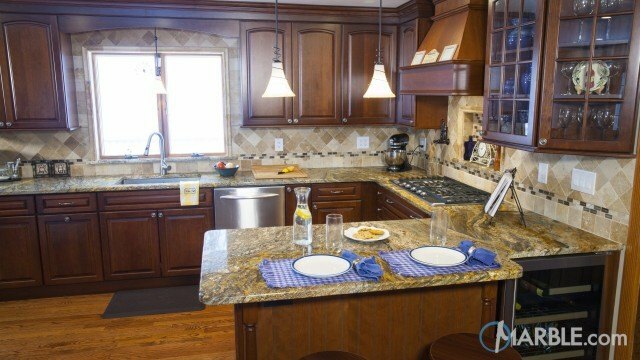 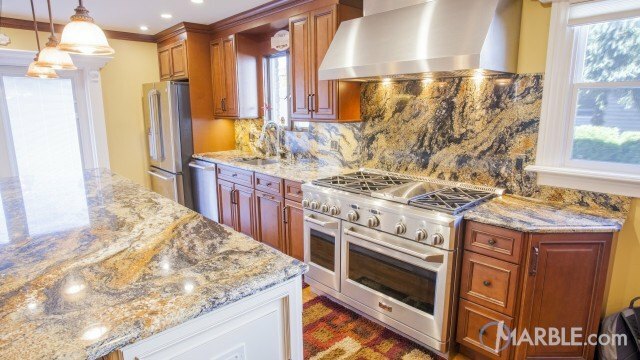 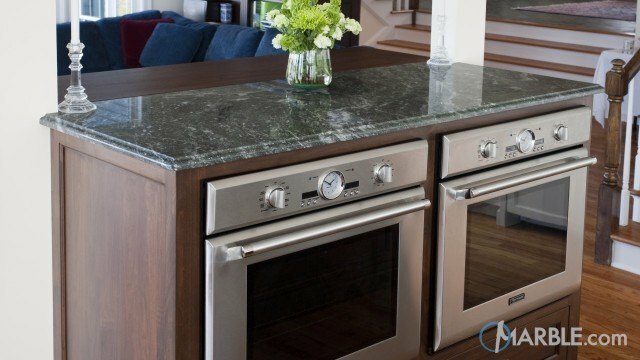 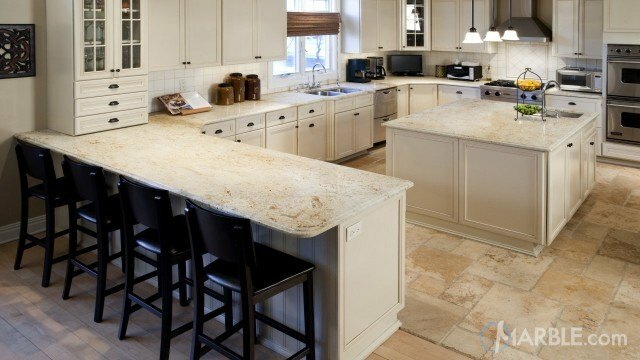 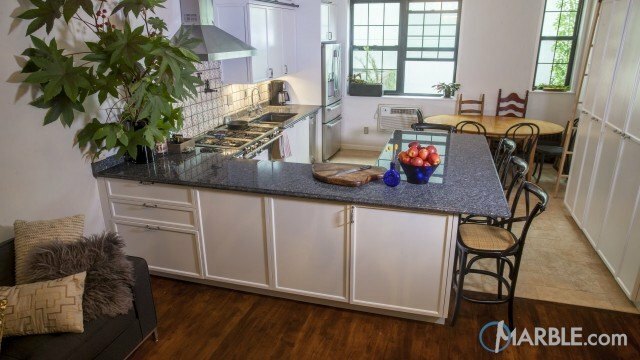 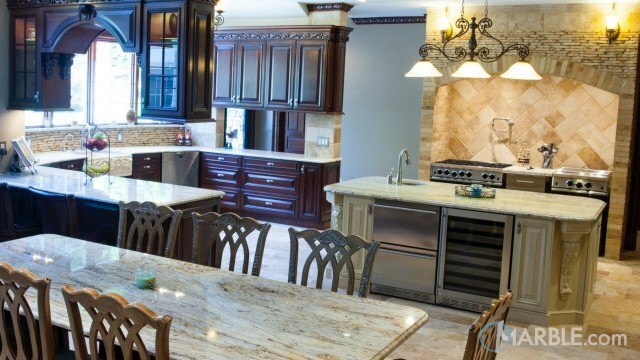 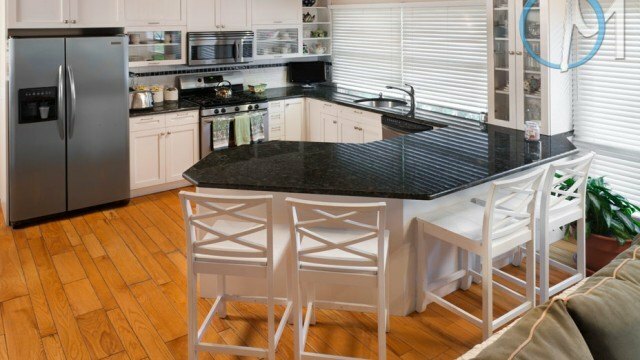 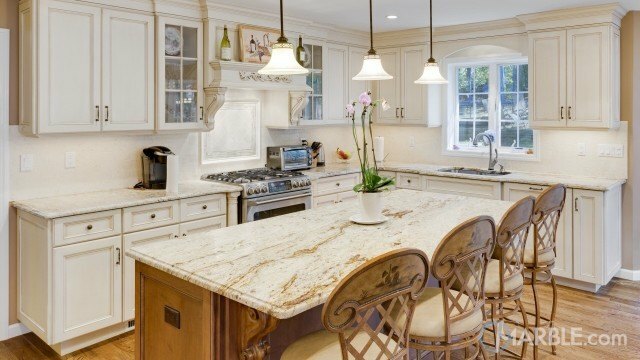 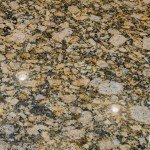 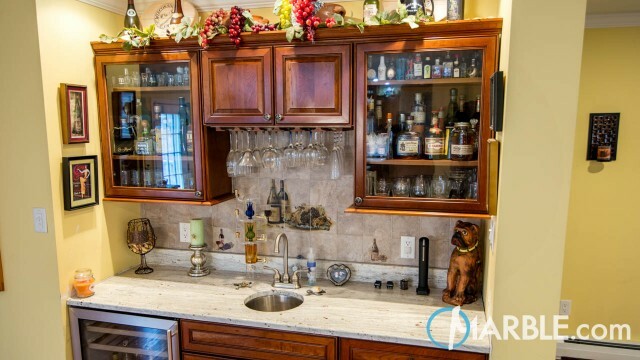 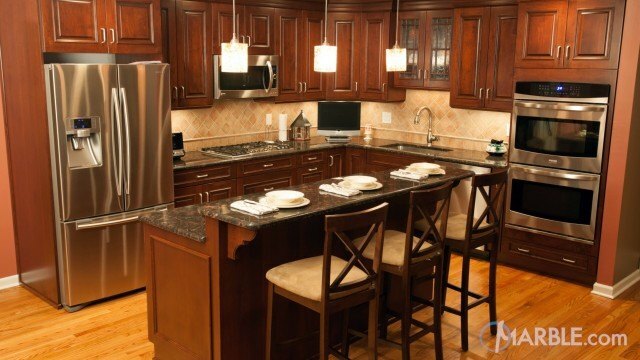 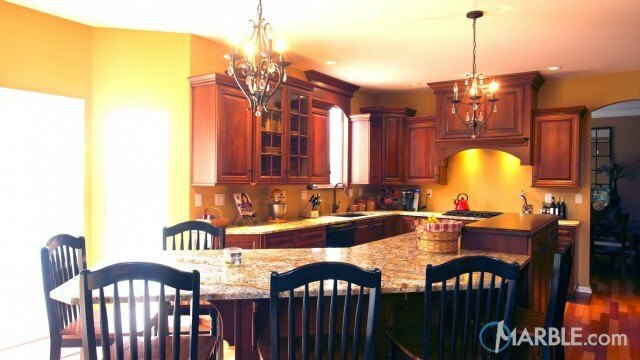 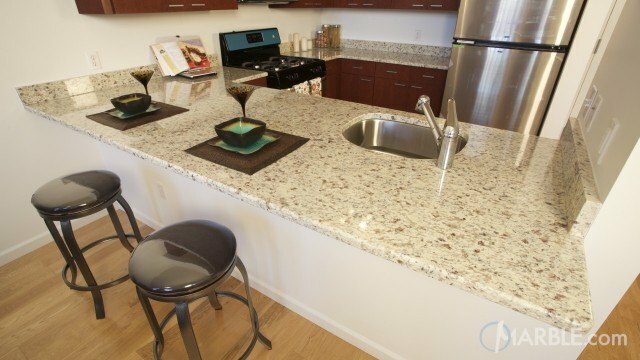 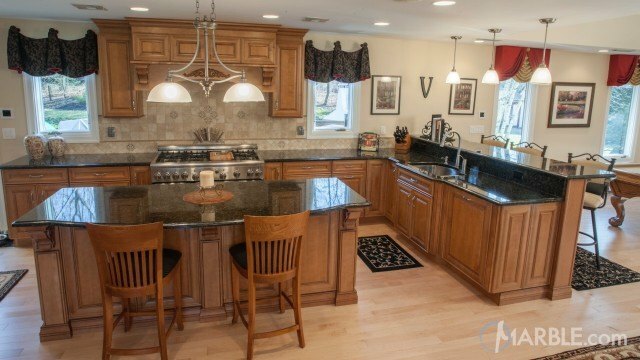 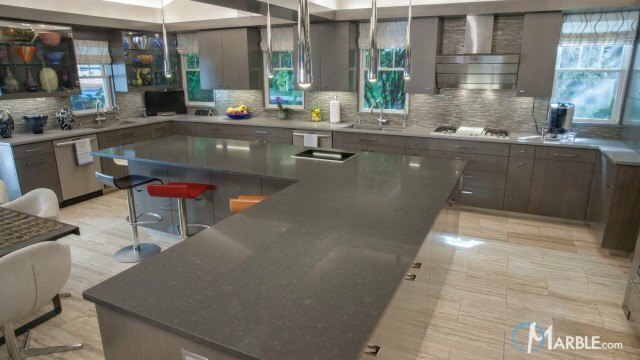 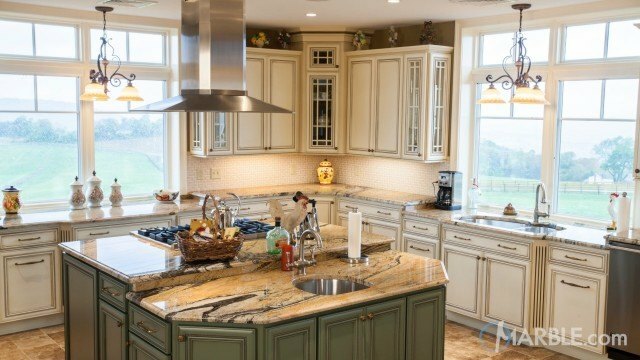 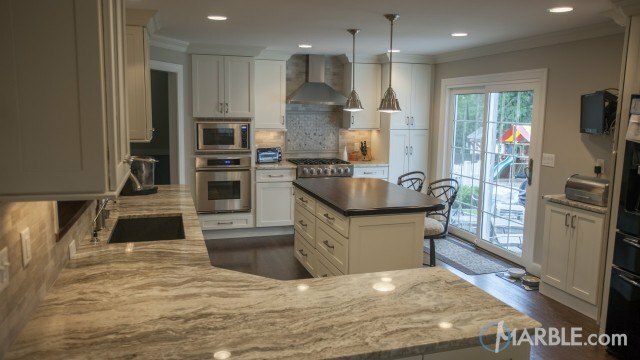 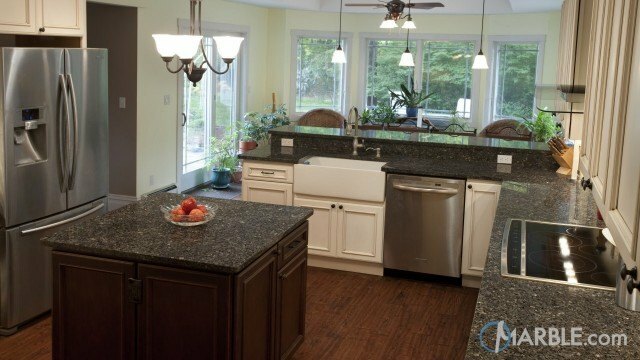 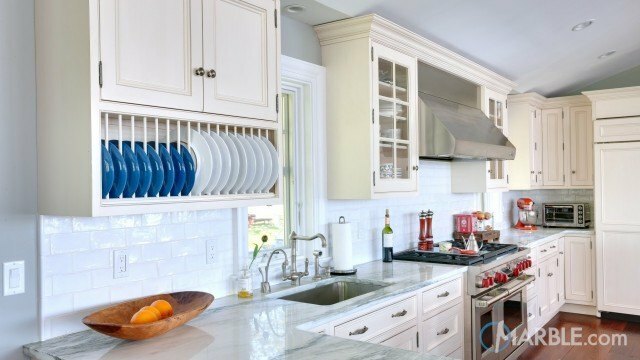 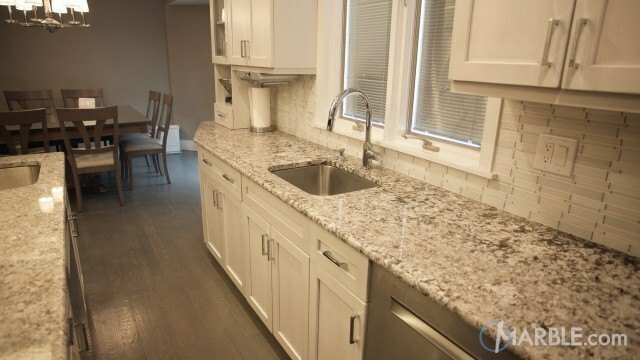 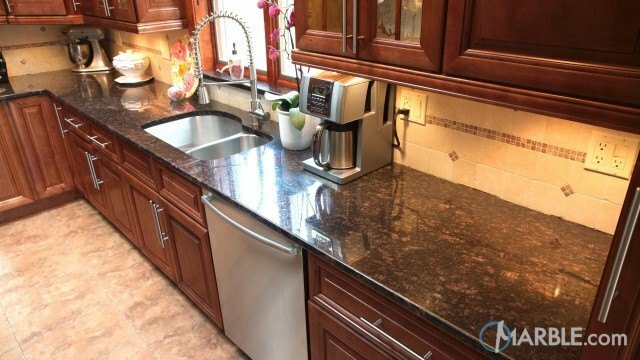 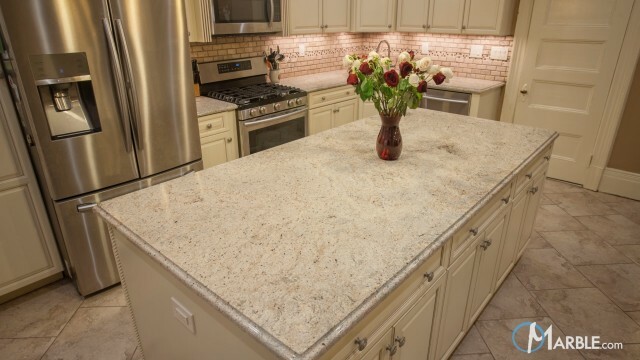 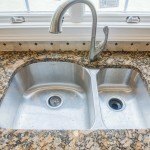 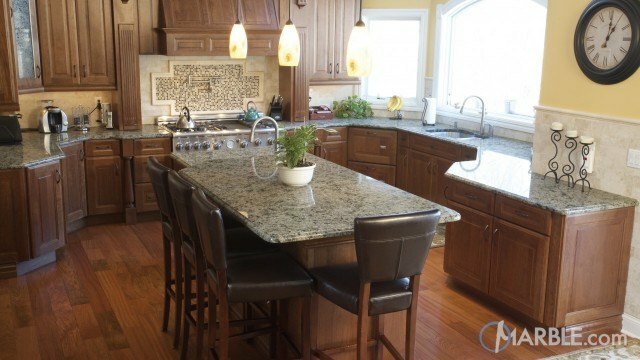 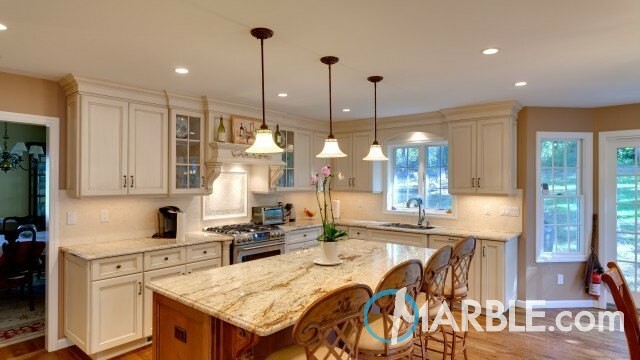 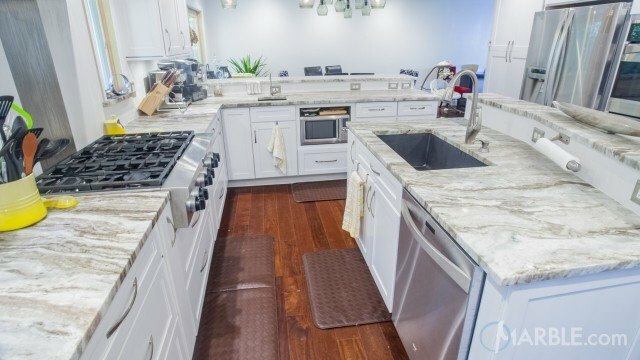 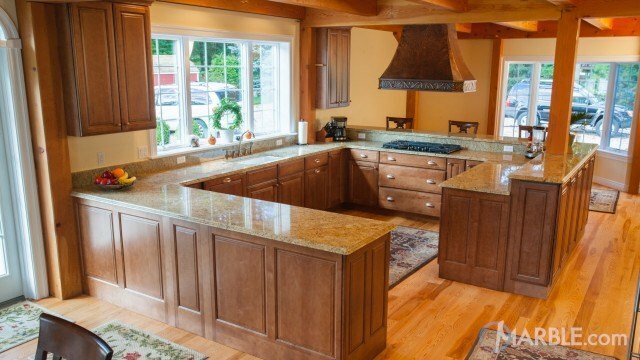 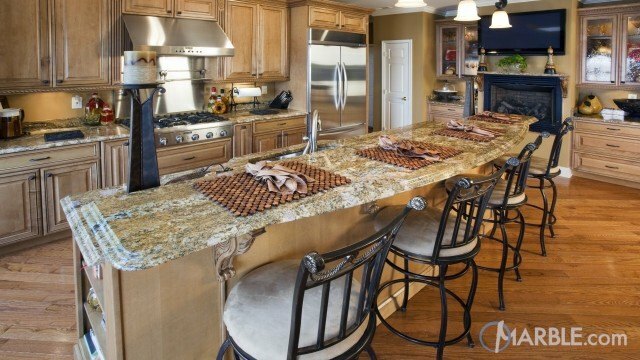 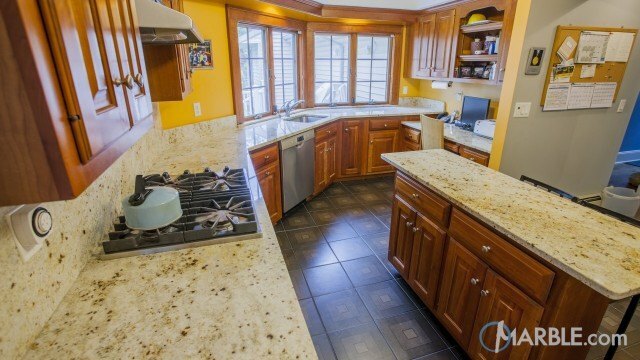 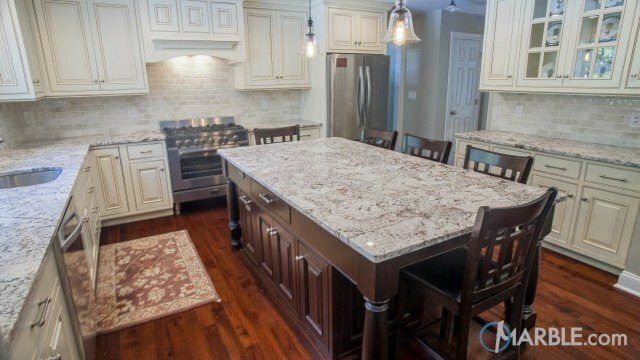 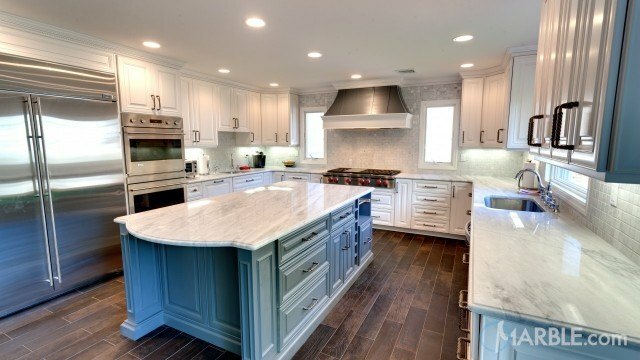 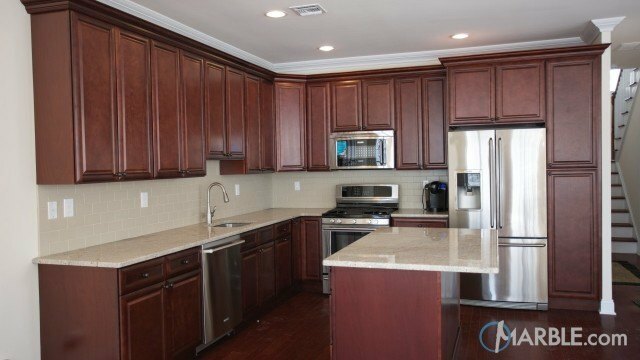 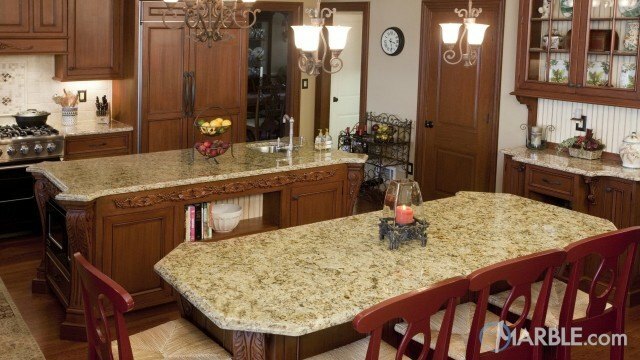 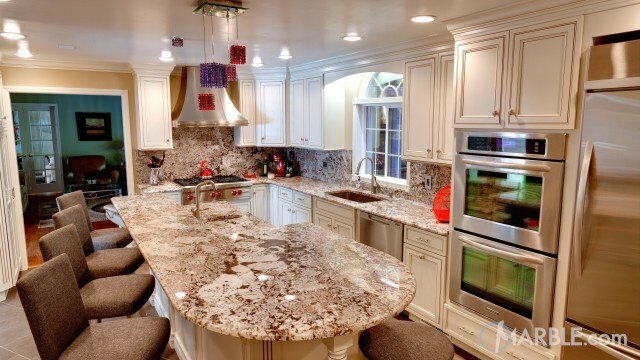 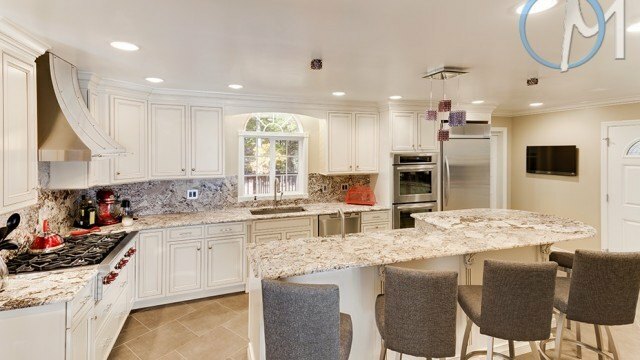 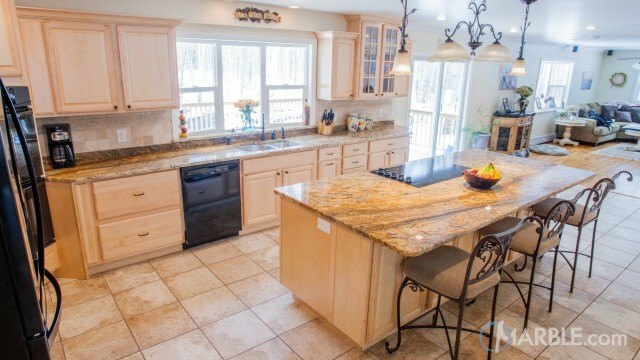 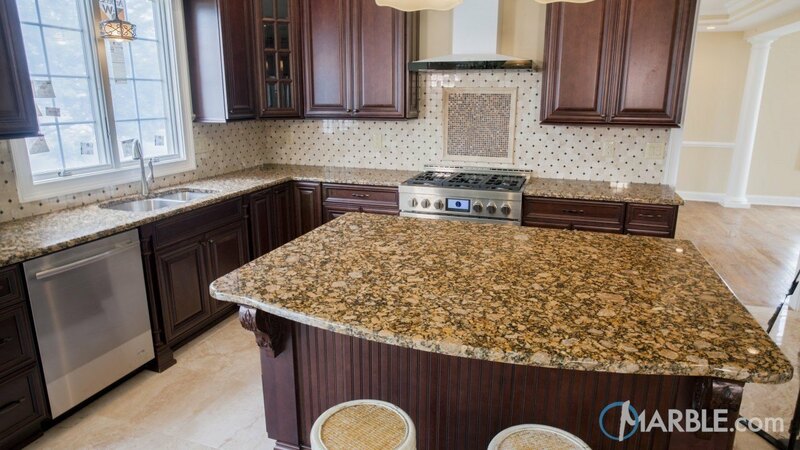 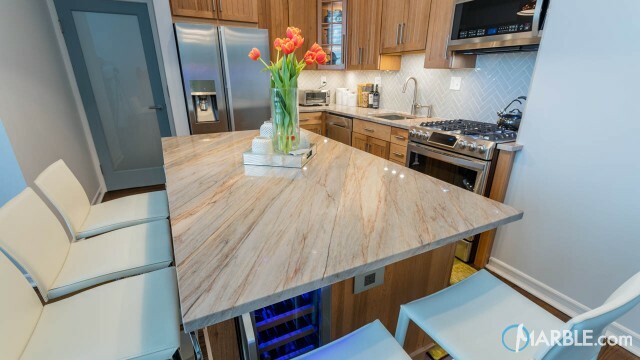 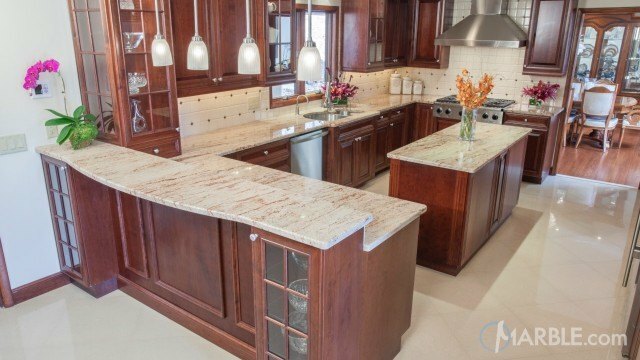 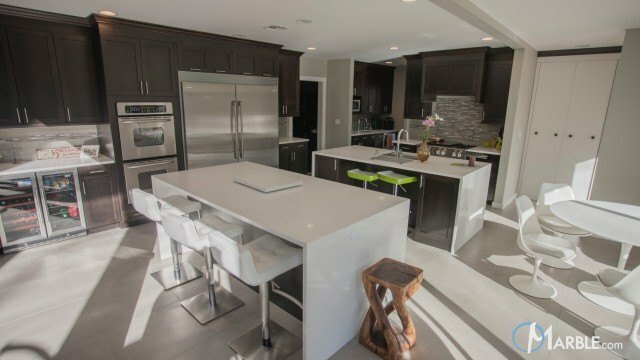 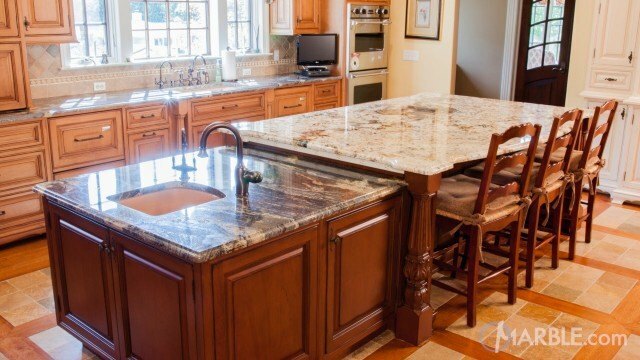 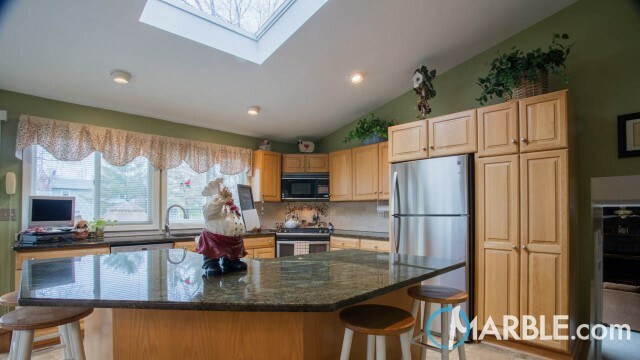 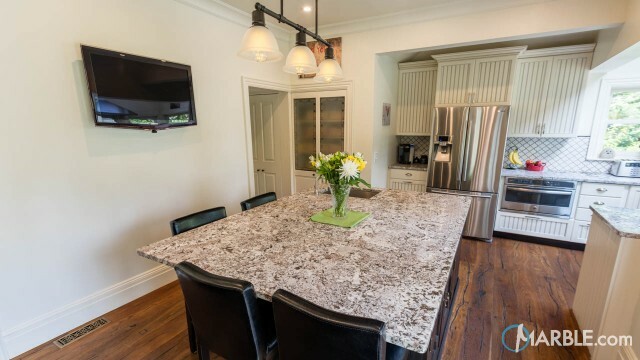 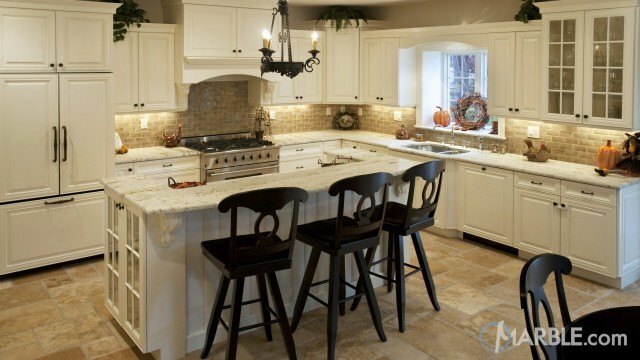 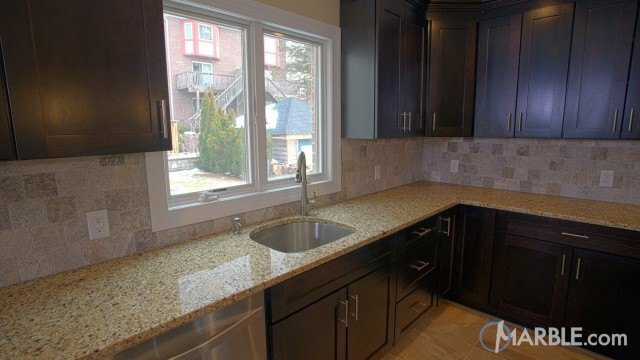 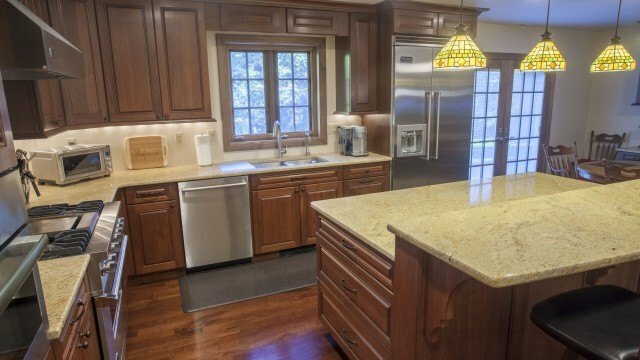 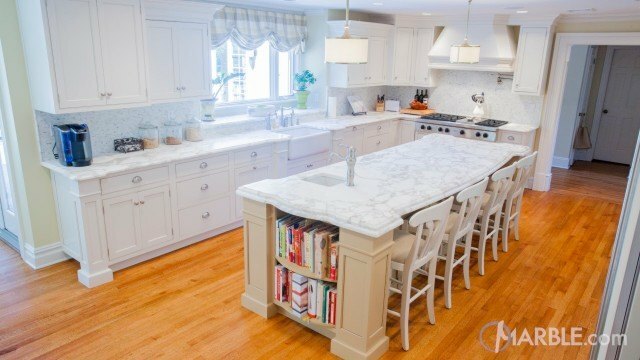 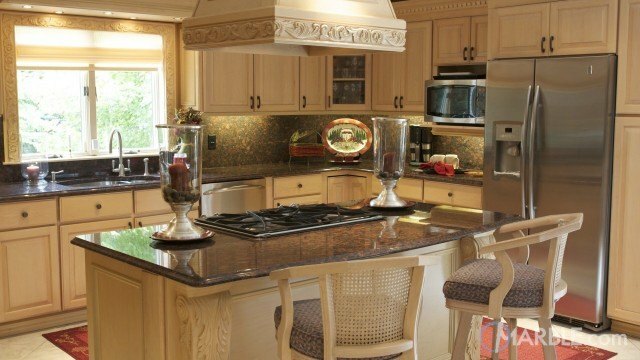 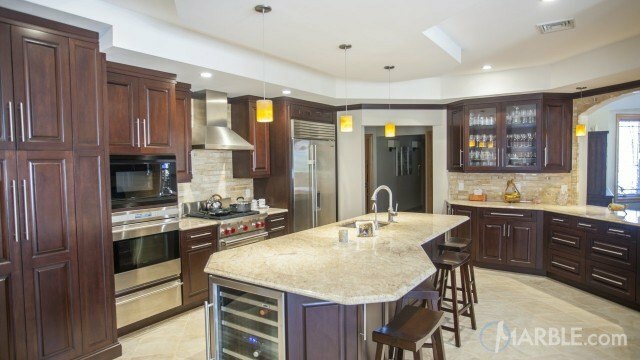 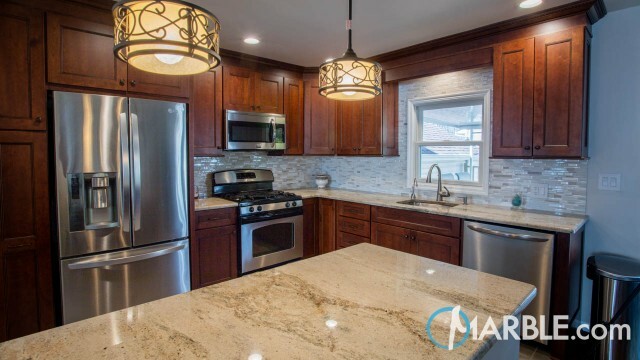 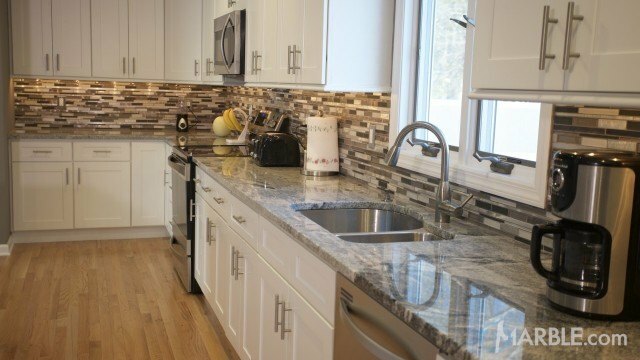 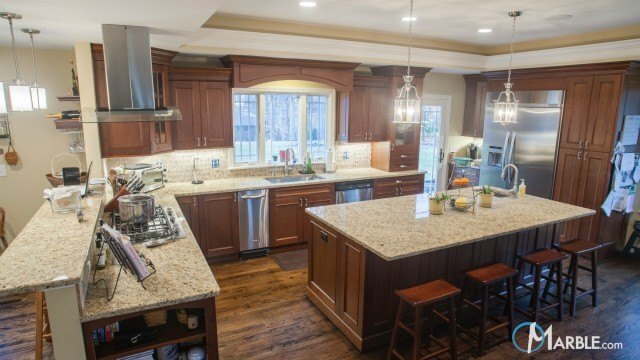 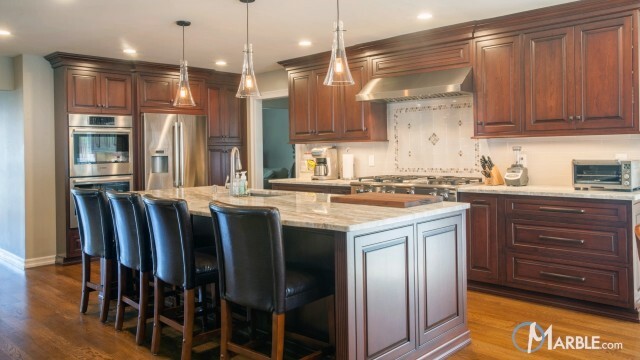 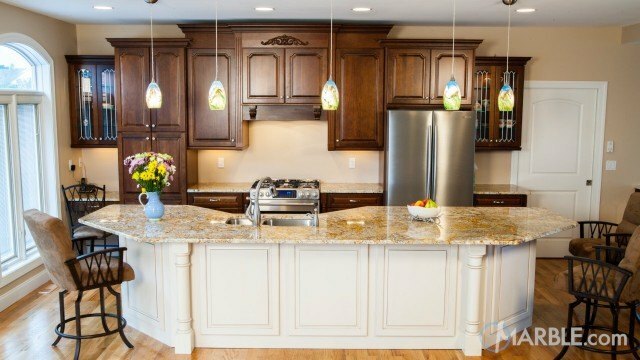 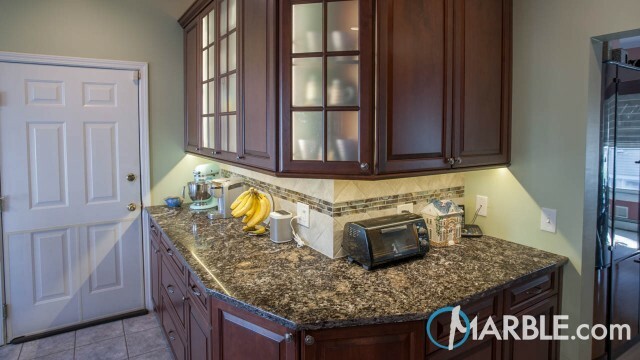 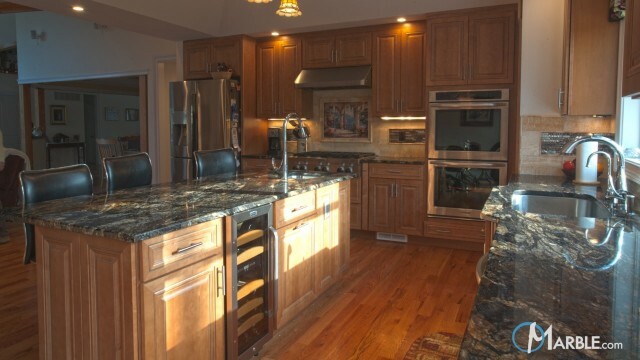 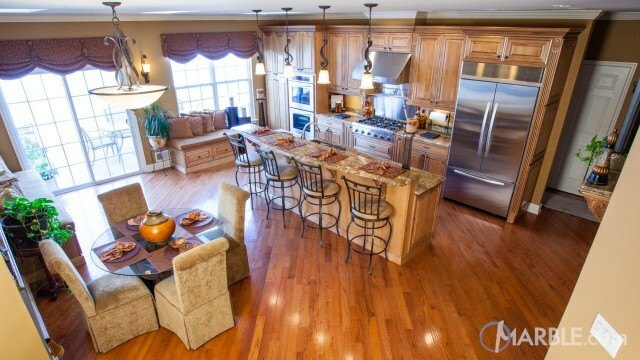 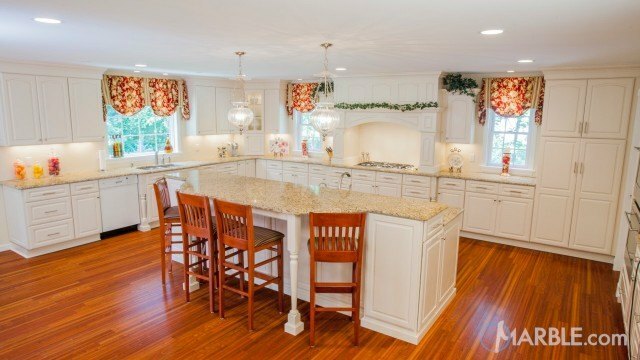 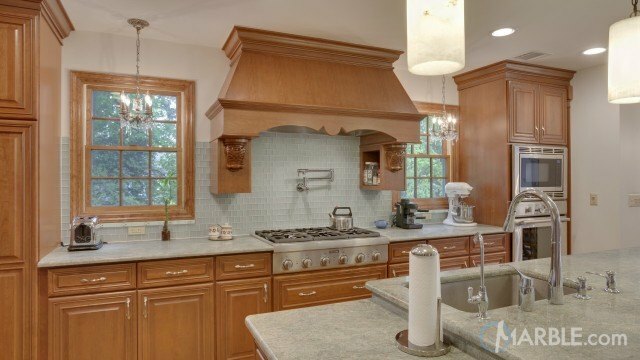 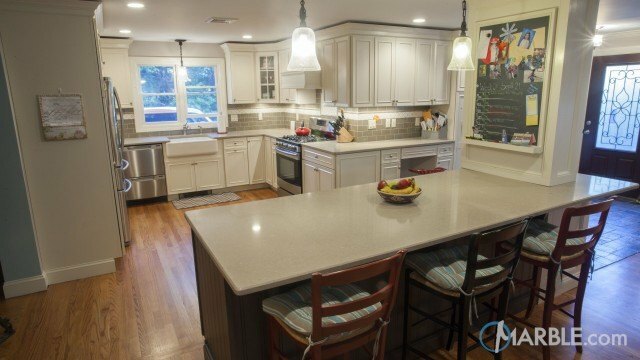 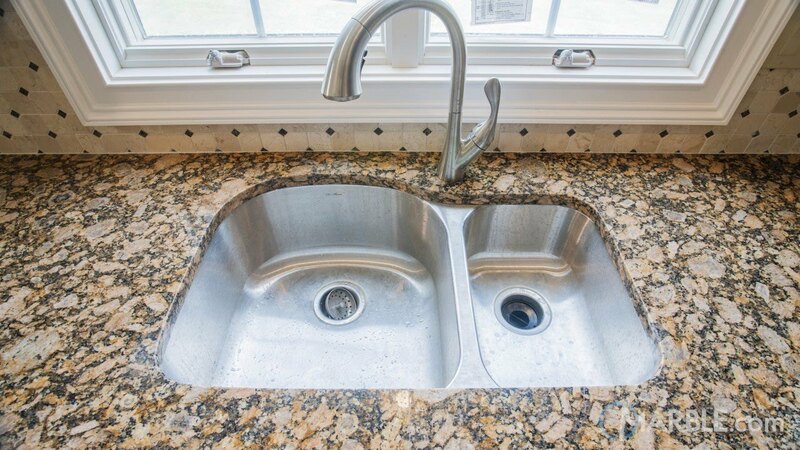 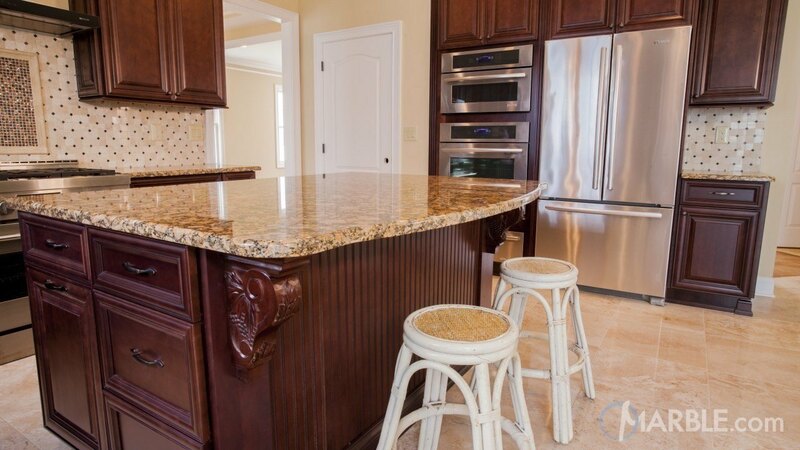 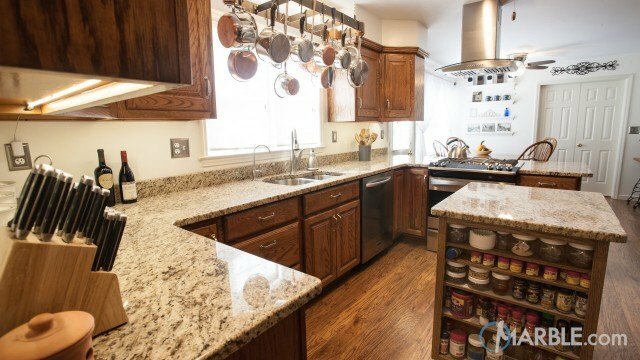 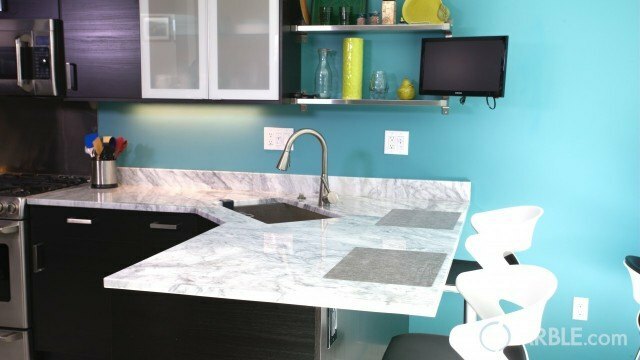 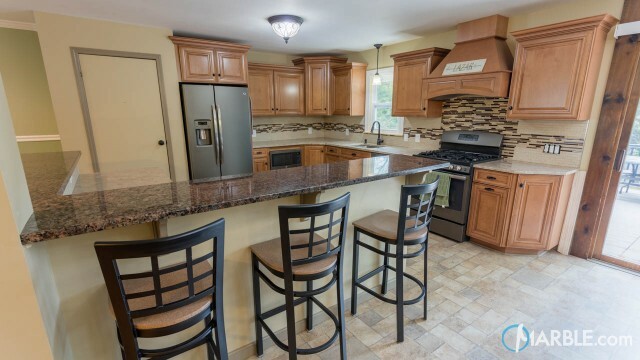 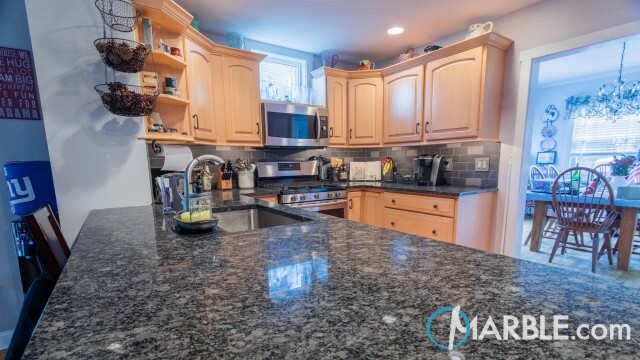 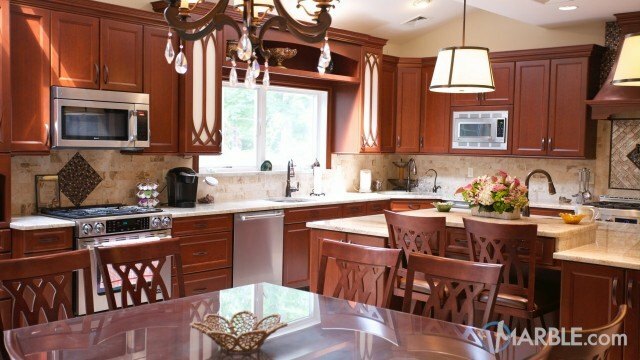 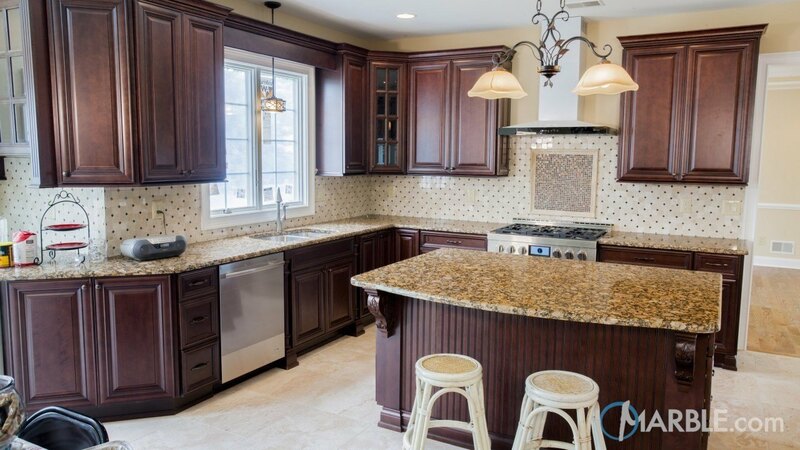 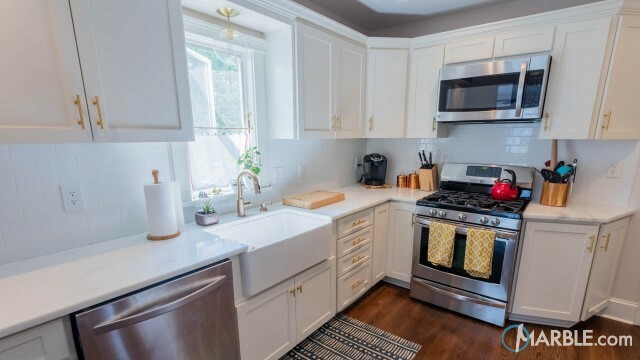 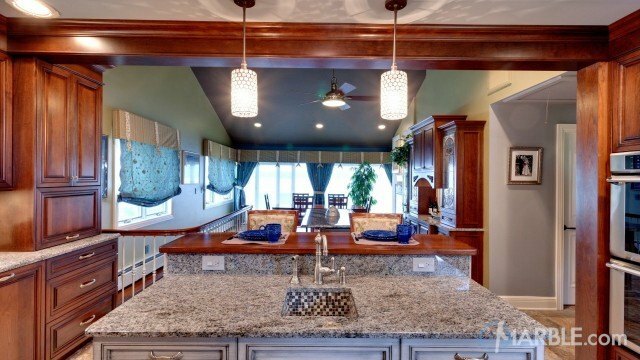 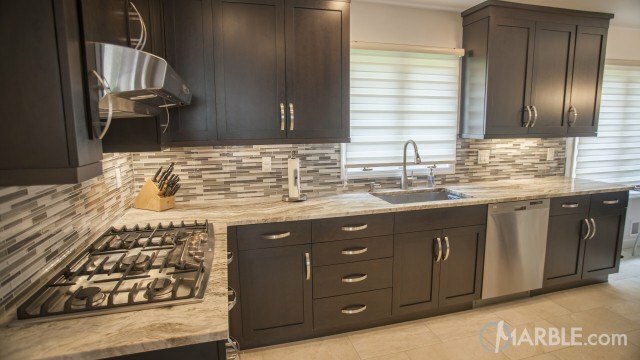 This new kitchen utilizes a patchy granite called Golden Brown Super. 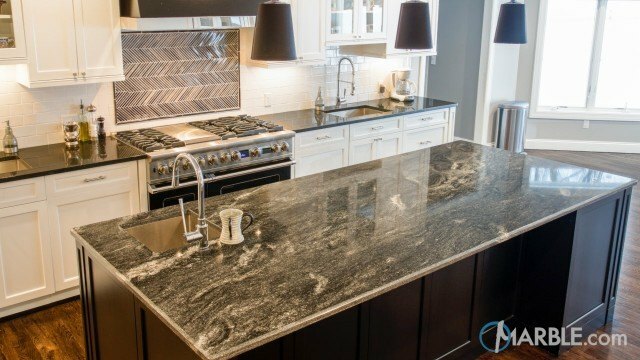 Its granite is made from the earth. 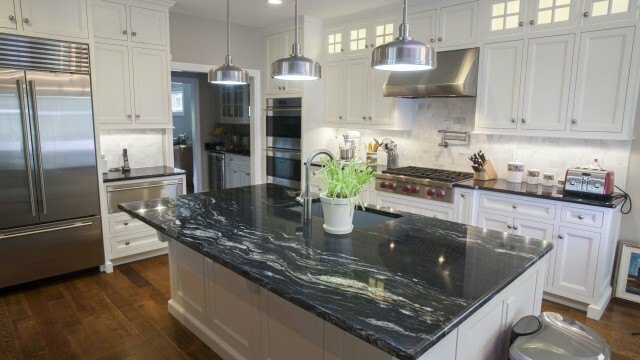 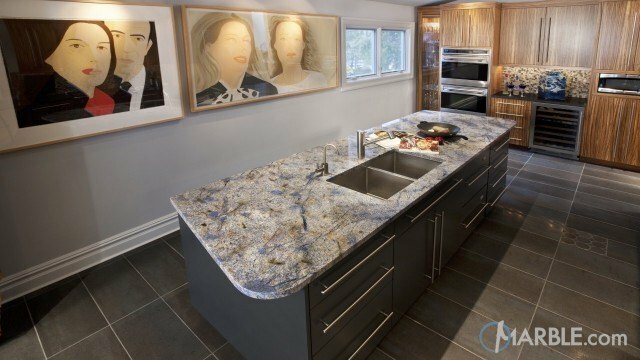 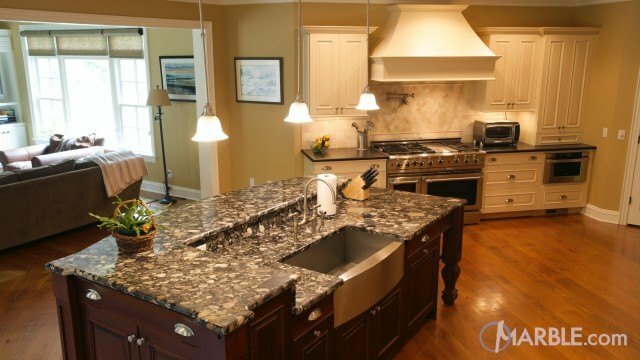 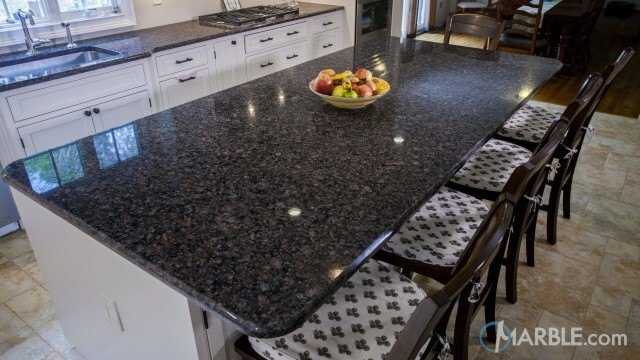 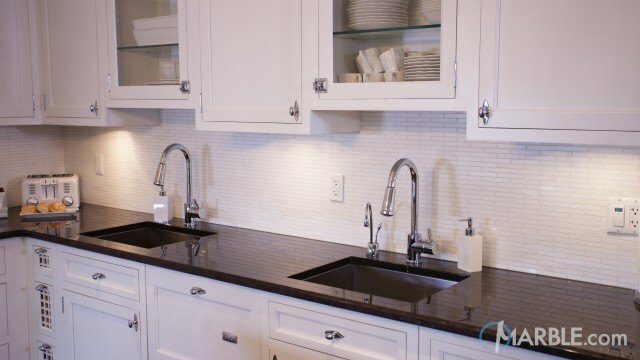 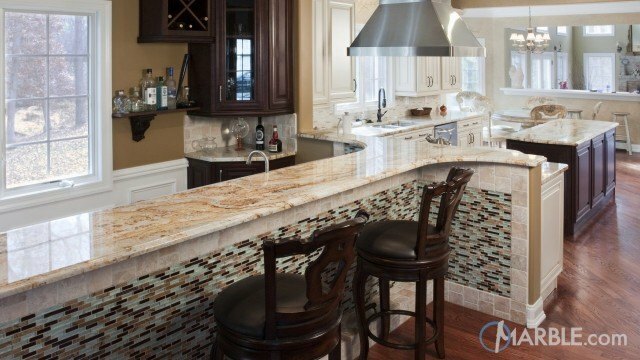 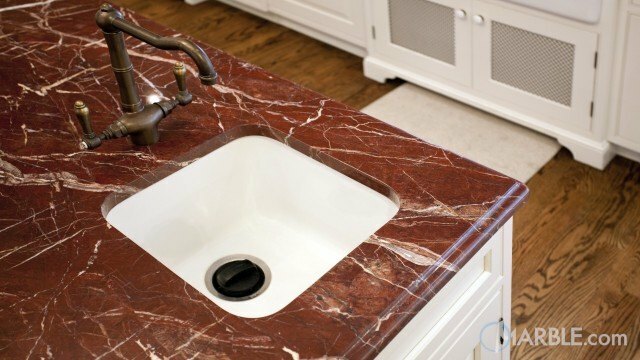 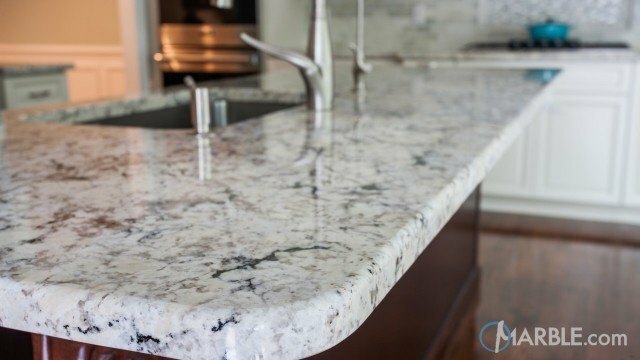 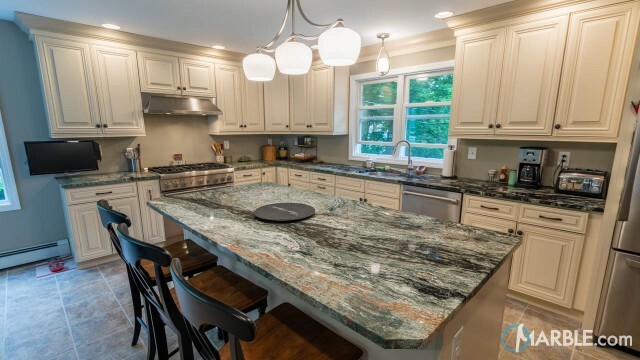 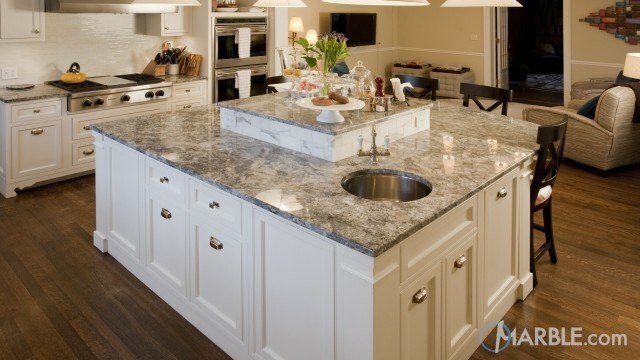 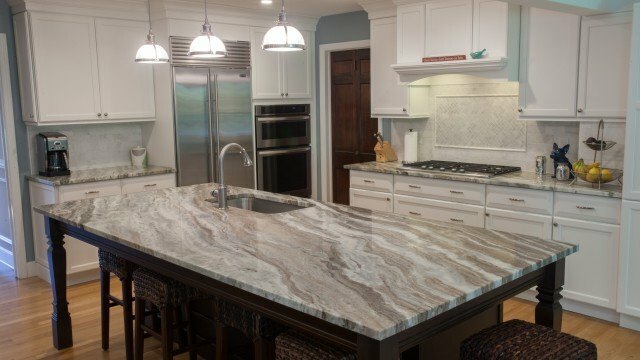 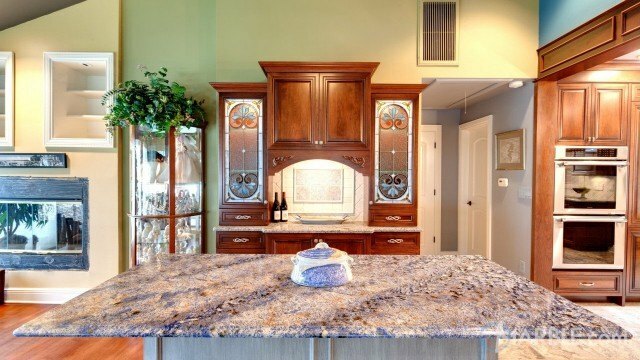 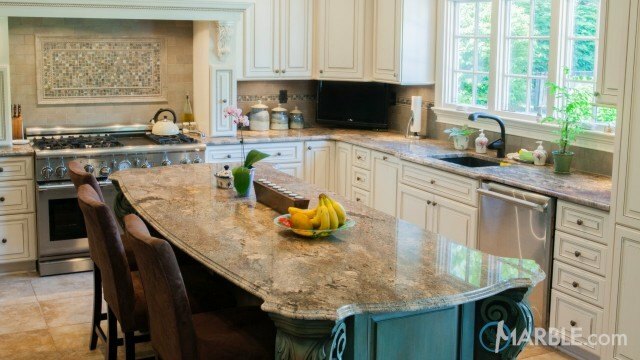 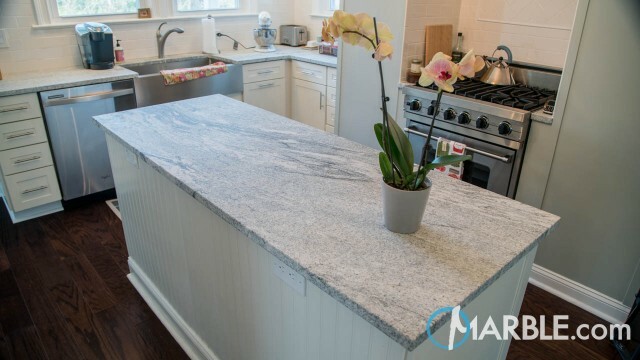 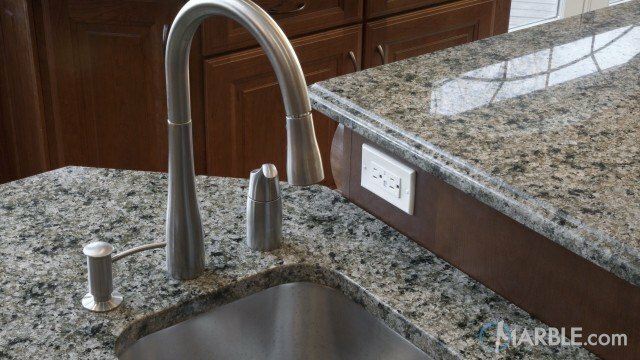 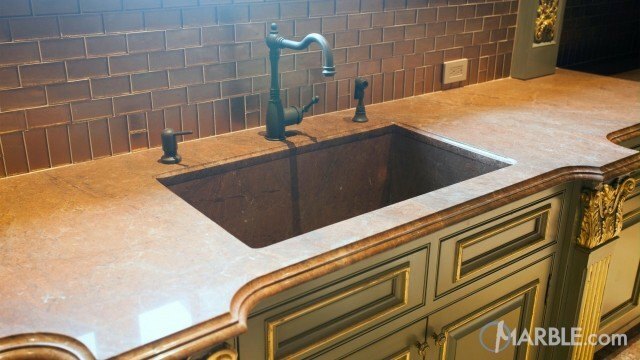 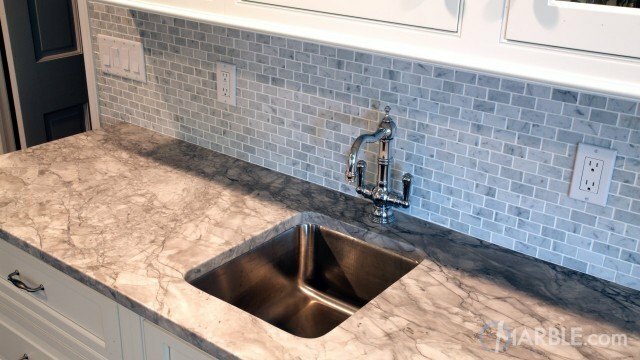 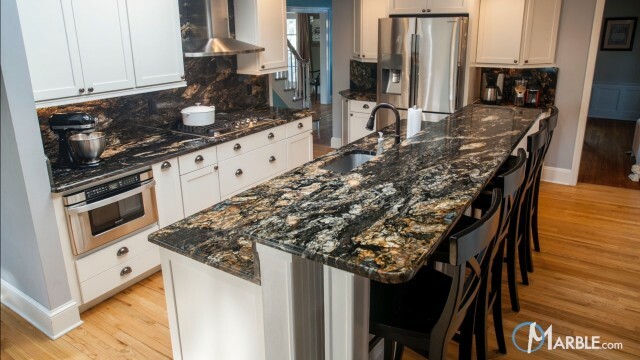 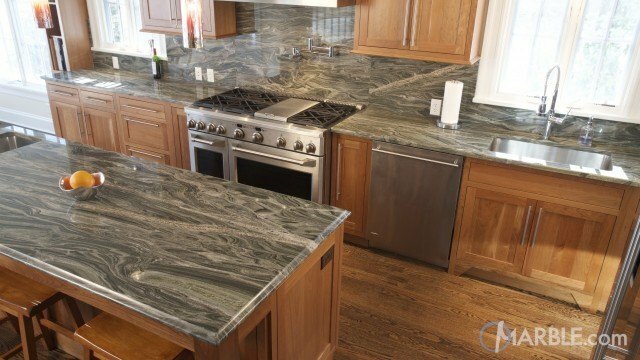 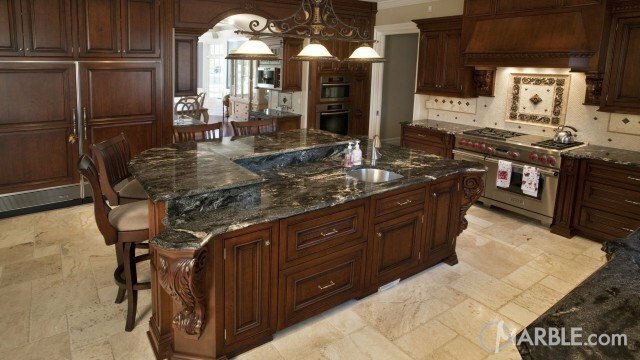 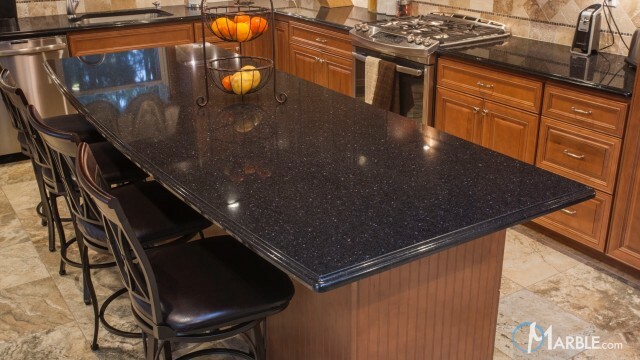 Each piece is one of a kind, making granite like a piece of art. 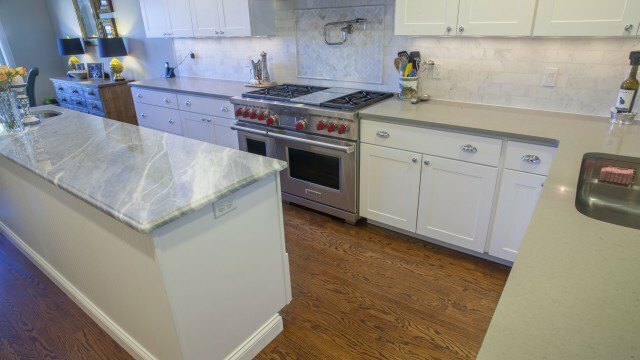 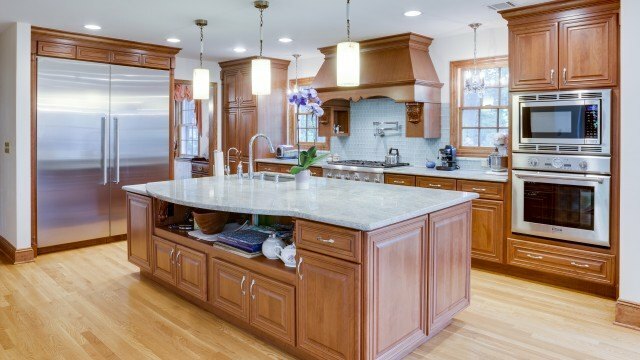 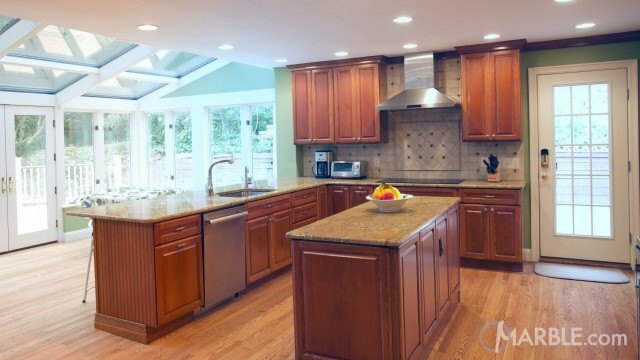 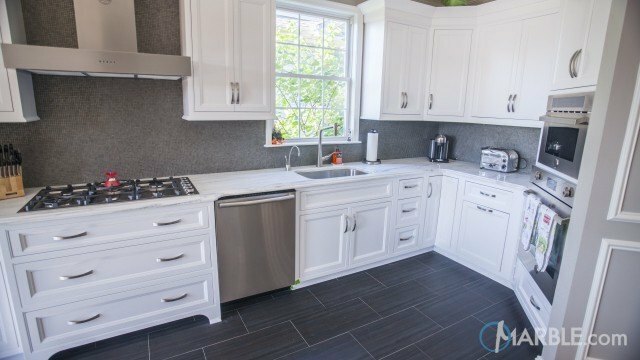 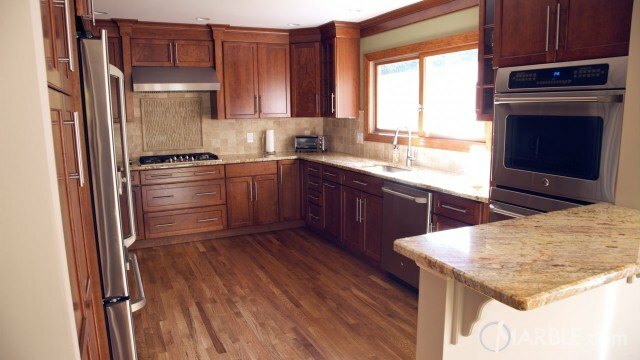 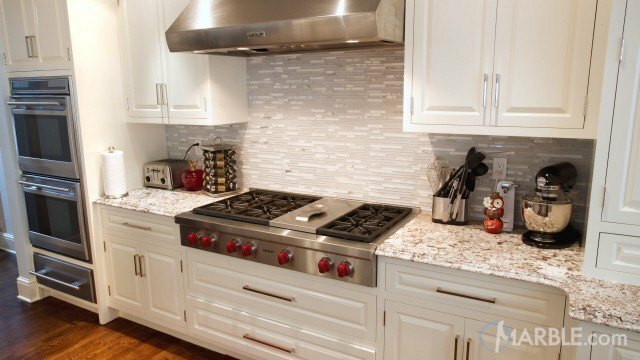 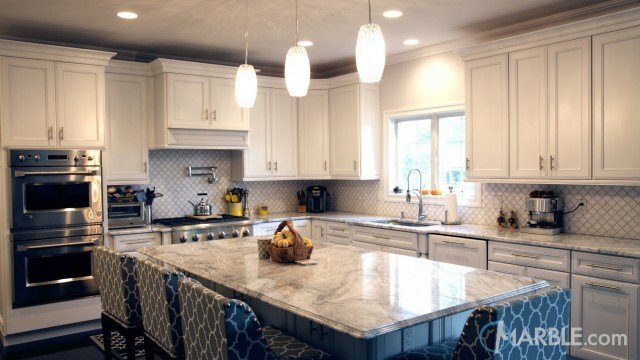 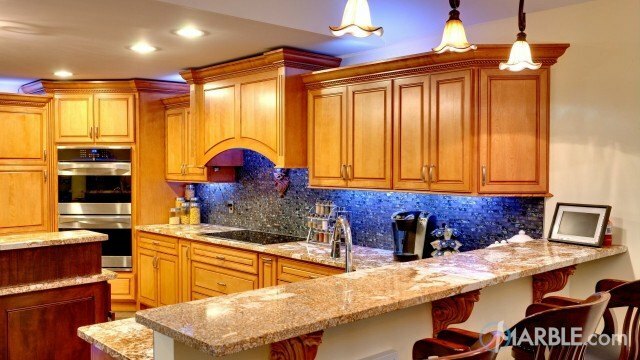 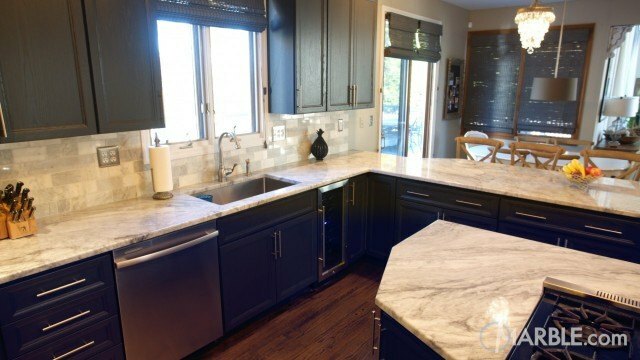 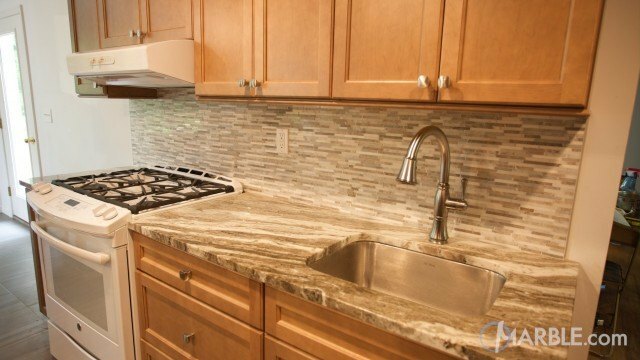 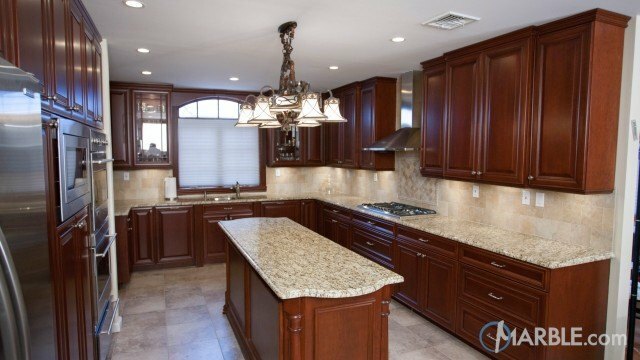 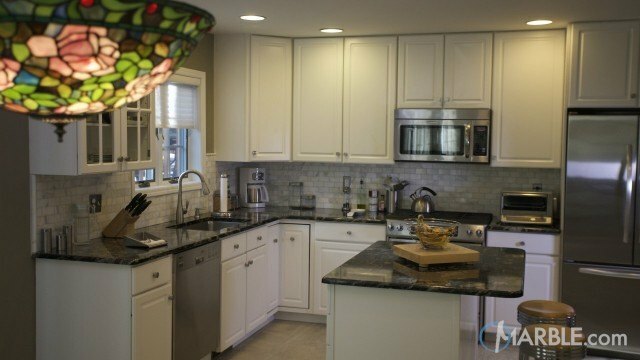 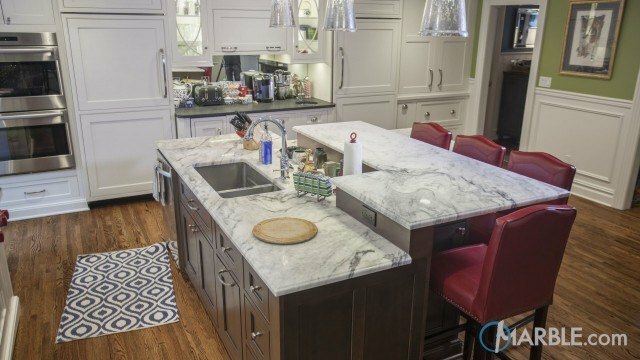 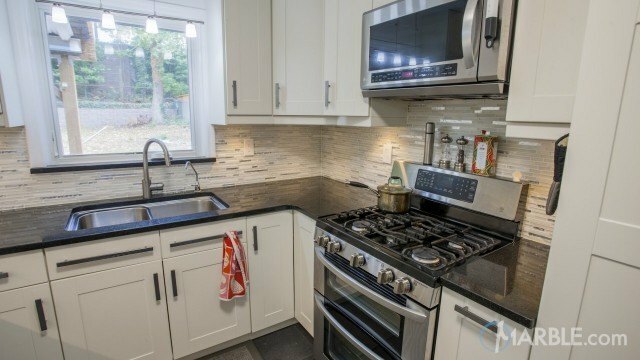 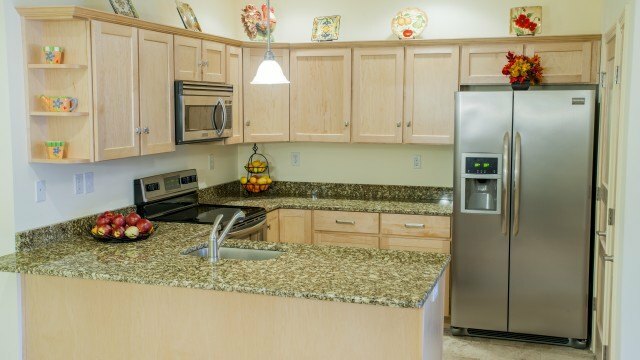 The Cherry wood cabinets match nicely to the light wall, back splash and flooring and give a nice contrasting style to the granite.